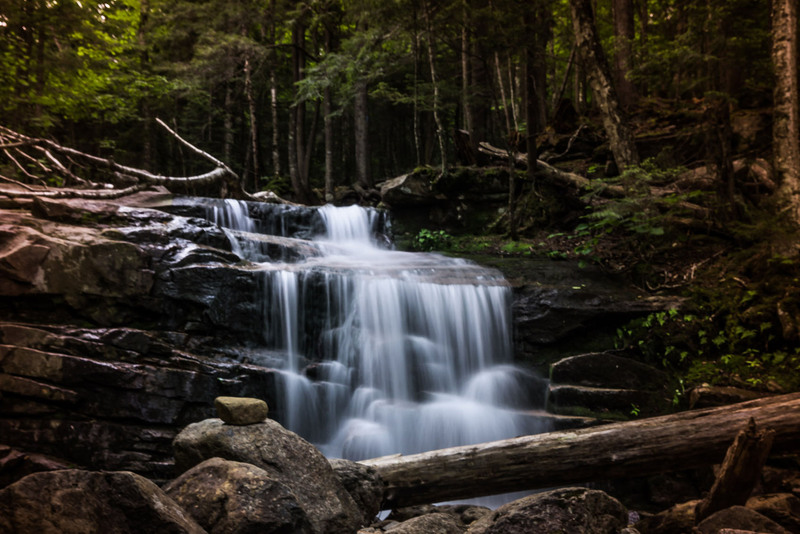 Melting snow and muddy trails may put a mild damper on high elevation springtime hikes, but one of the major benefits of melting snow is the ferocity it adds to some of the already impressive waterfalls in New England. Impressive flows and spraying water can make them some of the most scenic hiking objectives in the area. Don’t miss these ones this spring. 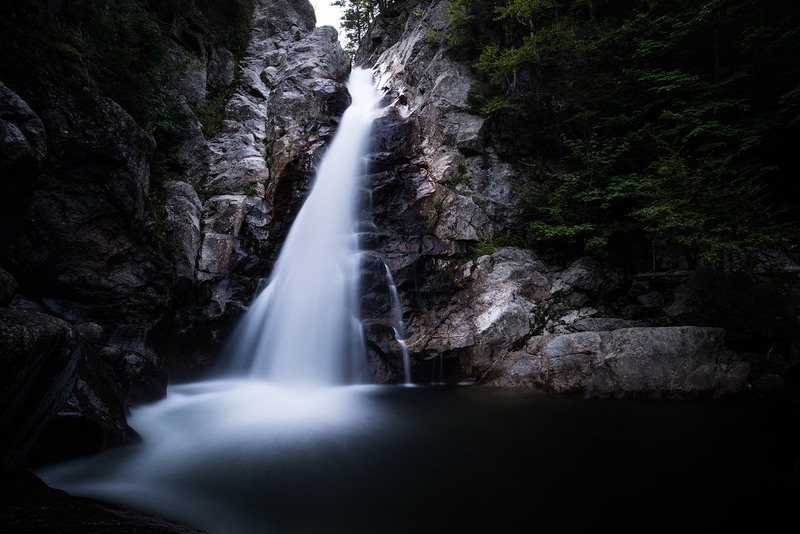 Regarded as perhaps the most scenic waterfalls in New Hampshire, Crawford Notch’s Arethusa Falls is an incredible reward at the end of a moderate 1.5-mile hike that should not be missed! The height of the plunge is nearly 200 feet, and while it serves as a popular ice climbing spot in the winter months, once the warmer temperatures add to the snow melt, the massive cascade becomes even more worth the sweat. During spring and early summer, the flow is impressive, but by the end of the summer, it’s likely to significantly decrease, so plan your visit early. The hike itself begins at the end of Arethusa Falls Road. Only 0.1 miles into the Arethusa Falls Trail, you have the option of cutting left to the Bemis Brook Trail. This offers a steeper climb with the addition of two other waterfalls until you reach the main event. If you were hoping for a longer hike, you can always add the Frankenstein Cliff Trail to your loop for a total of 4.2 miles. At 65 feet tall, Glen Ellis Falls in Jackson, New Hampshire is impressive even in times of low water, but even more magnificent in spring. The falls itself drops over the headwall of an ancient glacial valley and features deep green pools that tempt you closer to the water. Don’t underestimate the danger of the fast running water: Swimming is prohibited in the area. 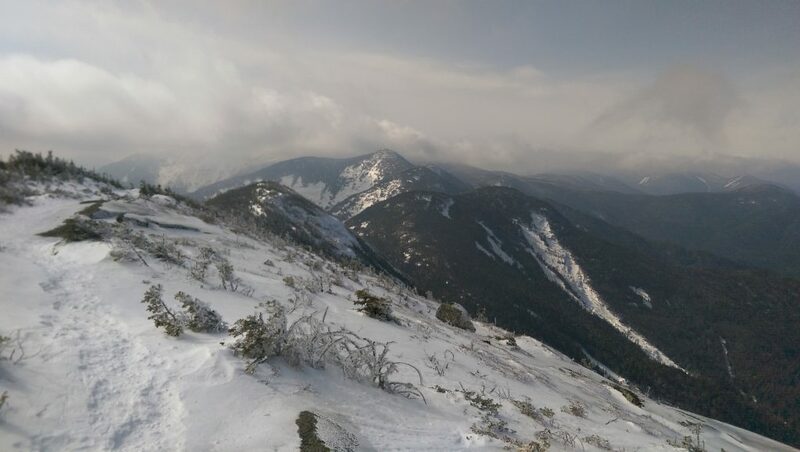 Nestled in Pinkham Notch, there is a designated parking lot off Route 16, and a short 0.2 mile hike will lead you to this breathtaking view. There is a short waterfall just upstream from the main falls, and a second just downstream, and the series of staircases will get your blood pumping as you take in the magnificent sight. As the waterfall is easily accessible, it is also extremely popular. However, the crowds will be sparser in the early spring, which is definitely one of the better times to visit. 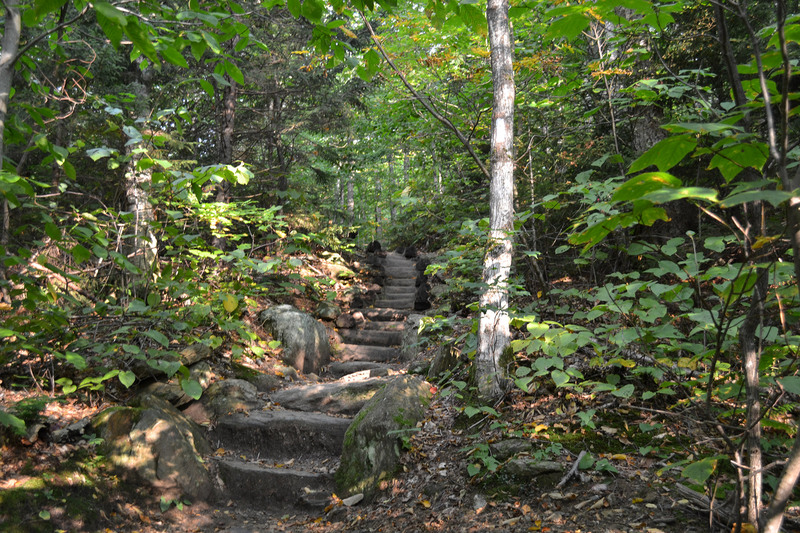 The Falling Waters Trail is a popular trail to the summit of Little Haystack Mountain in Franconia Notch State Park. The trail features three stunning waterfalls and finishes with breathtaking views from the summit. The first waterfall seen on the trip is Stairs Falls, soon overshadowed by Swiftwater Falls: a 60-foot tall mix of cascades and smaller plunges. The last waterfall, and by far the most impressive of the three, is the 80-foot Cloudland Falls. This features a horsetail-like drop. The best views are off the main trail as you get a bit closer to the falls. The hike is definitely worth just reaching the waterfalls, even without summiting Little Haystack. 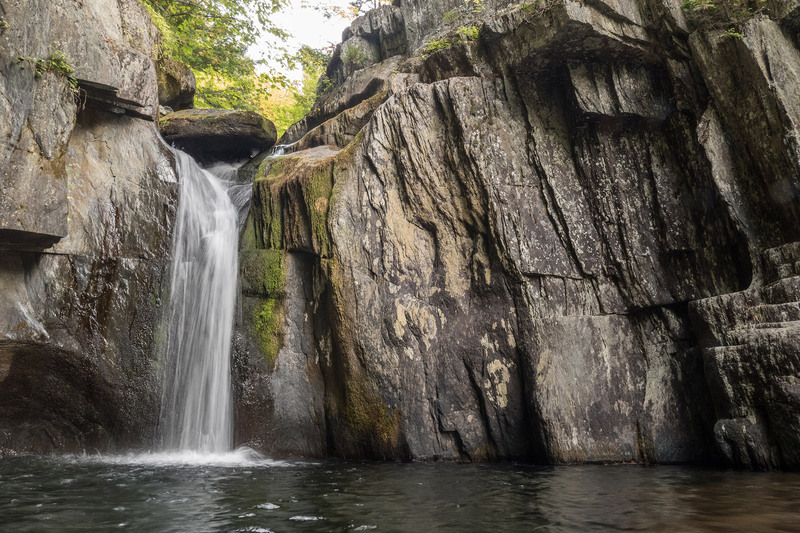 Situated at the end of an incredibly easy 0.1 mile hike from Stowe, Vermont is a spectacular 125-foot combination of several falls one after another. Moss Glen Falls culminates with a 62-foot slide leading into a plunge followed by several cascades. In high water, such as in the early spring, this is essentially a single falls of nearly 75 feet. This makes the total drop (125 feet) one of the largest in the state. There are so many angles and varyingly dramatic views of the falls, it is essential to view them from below as well as from above. The lower views are accessible by wading your way upstream into the gorge, but if you want to access the gorge above the falls, use the trail to the left. This is a favorite swimming hole spot in the summer, but be aware that the rocks are extremely slippery. 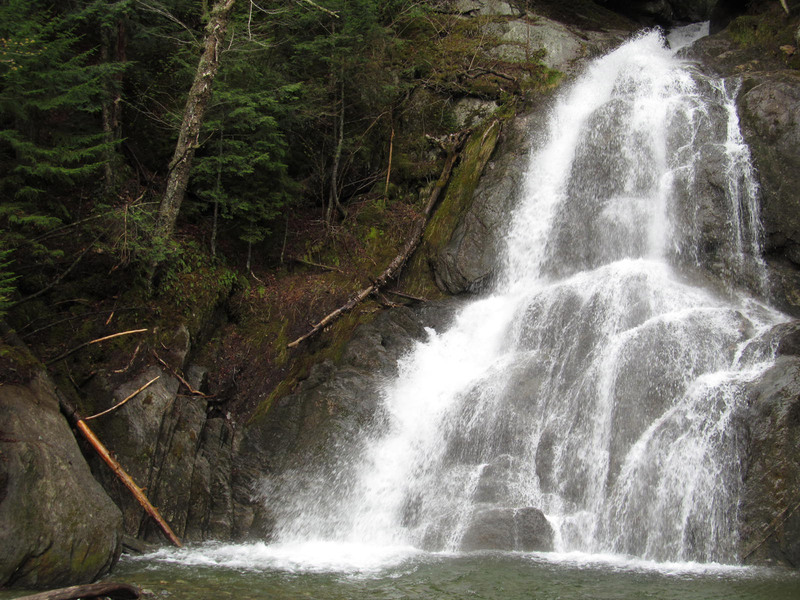 Though small in stature, Warren Falls has some incredible features. Consisting of a rumbling series of cascades along the Mad River in Warren, Vermont, Warren Falls are made of three distinct tiers, totaling only about 20 feet in height, broken up into individual drops of about 7, 10 and 3 feet. The pools below each drop make for excellent swimming holes, but only when the river is running low. This would not be recommended in early spring, as the recent snow melt will only increase the water level. These pools are clear and surprisingly deep, with the pool after the final tier being nearly 20 feet deep. Warren Falls is located just off of Route 100 south of Warren. There is a large dirt pullout on the west side of the road. A trail begins from the right side of the pullout and follows the river downstream. It is a quick walk to the falls. 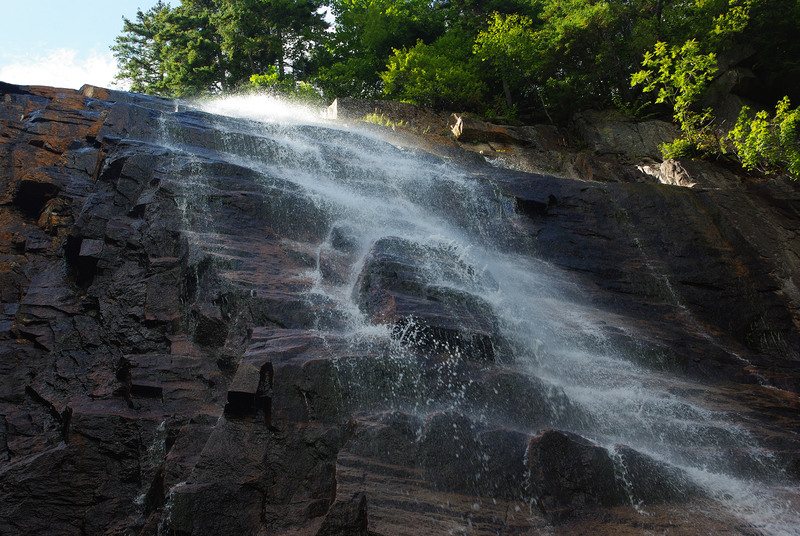 The waterfalls of the Gulf Hagas Gorge in Northeast Piscataquis, Maine are among the most popular in the state of Maine. Often referred to as the “Grand Canyon of the East” The gorge consists of a series of waterfalls, cascades, and is part of the Appalachian Trail Corridor. However, a 7.5-mile trail will allow you to view various waterfalls in the area. A majority of the crowds flock to see Screw Auger Falls, which is the most photogenic of all the waterfalls on this hike. Here the brook drops about 15 feet into a punchbowl formation, often used as a swimming hole. However, if you continue along the rim of the gorge. you will encounter Buttermilk Falls, Billings Falls, and Stairs Falls. When you enter through the entrance gate (it does require an entrance fee), ask about the water level, as the trail can be slick and more dangerous in high water. Days are longer, the sun is shining, and temperatures are becoming more tolerable. This seems like the perfect time to dust off those neglected hiking boots and hit the trails. However, the end of winter marks the beginning of mud season. 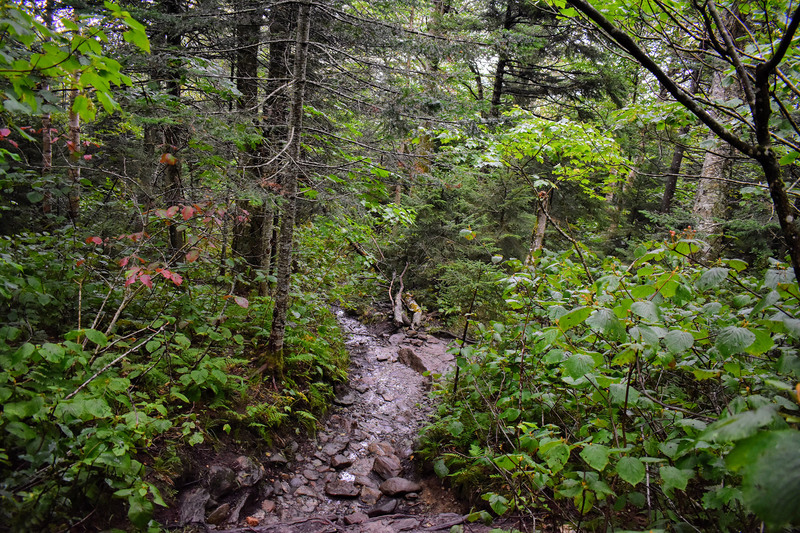 This is the time of year with snowmelt, heavy rains, and completely saturated hiking trails. During mud season trails are often closed to help preserve landscape and fragile alpine foliage. As hikers tramp on wet soils, they result in erosion, damage to the trail, and destruction of surrounding vegetation. In Vermont specifically, the Green Mountain Club asks hikers to stay off muddy trails until Memorial Day weekend. The trails that are usually closed are above 3,000 feet, such as trails on Mount Mansfield, Mount Ellen, Camels Hump, Smugglers Notch, and most parts of the Long Trail. 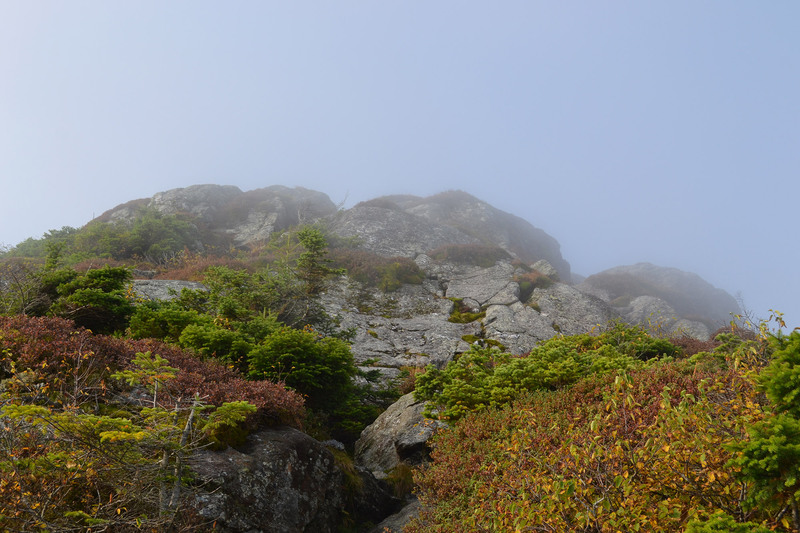 It is recommended to hike at lower elevations, stick to trails with southern exposure (which are often dryer), avoid spruce-fir forests, and to walk though the mud rather than on the vegetation beside the trail—or to just turn around altogether. So, do you just stay inside? Of course not! 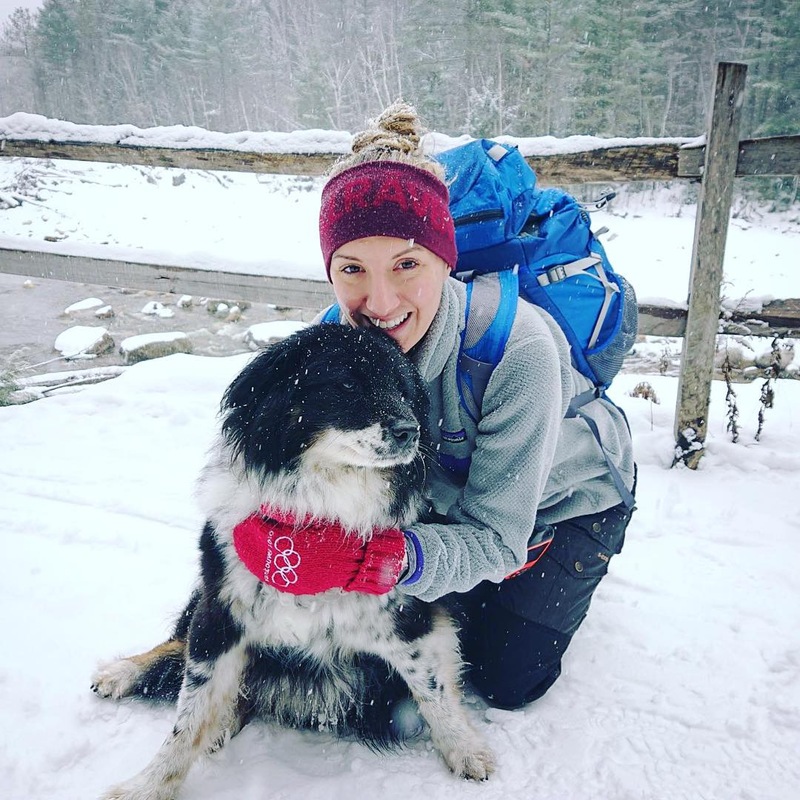 There are plenty of opportunities for hiking outside during mud season in Vermont, if you know where to look. 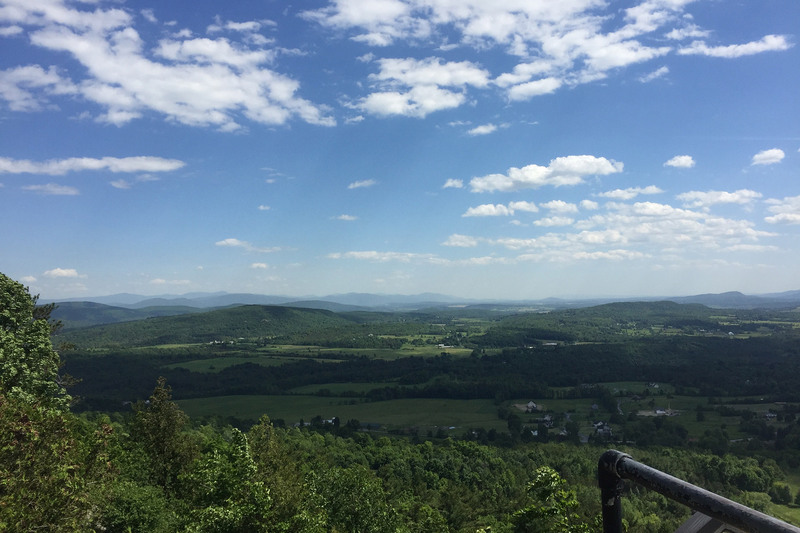 One of the best Vermont hikes in and out of mud season is Mount Philo in Charlotte. While the summit may seem low at only 968 feet, and the trail only .75 miles long, the views of the Lake Champlain Valley are well worth it. This is a wonderful hike for the entire family, a great challenge for beginner hikers, and extremely enjoyable for the more experienced. On the summit you will find welcoming Adirondack chairs allowing you to relax and enjoy the views, the 1930’s Lodge house that has grills and nearby restrooms, and plenty of picnic tables to bask in the warmer weather. Even if the trail is too muddy, you can always walk up the access road to reach the views. There won’t be any vehicles using the access road in the early mud season, making it a safe trip. A bit more challenging mud season hike is up Mount Elmore (2,608 feet) in Elmore State Park in Wolcott. This is a 4.3-mile loop via the Fire Tower Trail and the Ridge Trail. 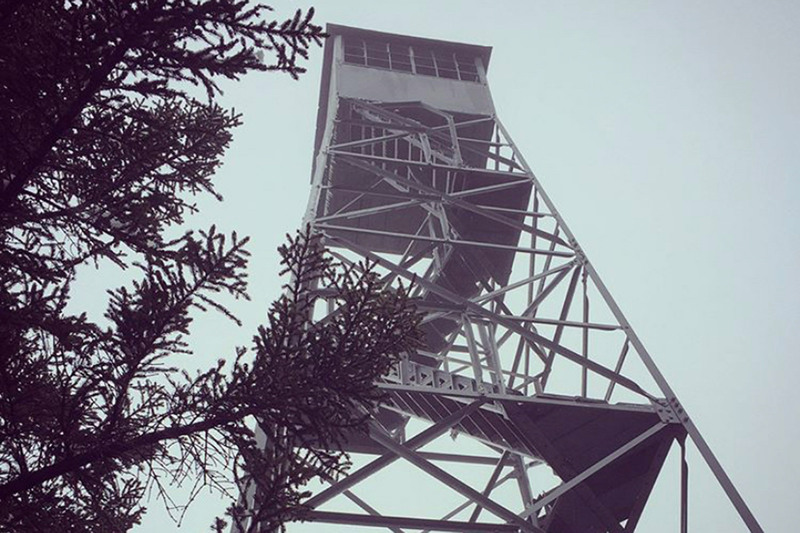 The best part of the summit is the fire tower—On a nice day you can see all the way to Mount Washington from the top. However, the view from the Fire tower isn’t the only extraordinary thing to see: A quick side trip brings you to Balanced Rock. This is a giant boulder that appears to defy gravity as it remains poised at a ridiculous angle on the smaller rock below. After the hike, you can enjoy the warmer temperatures with a snack on Lake Elmore beach, embracing the beginning of spring. 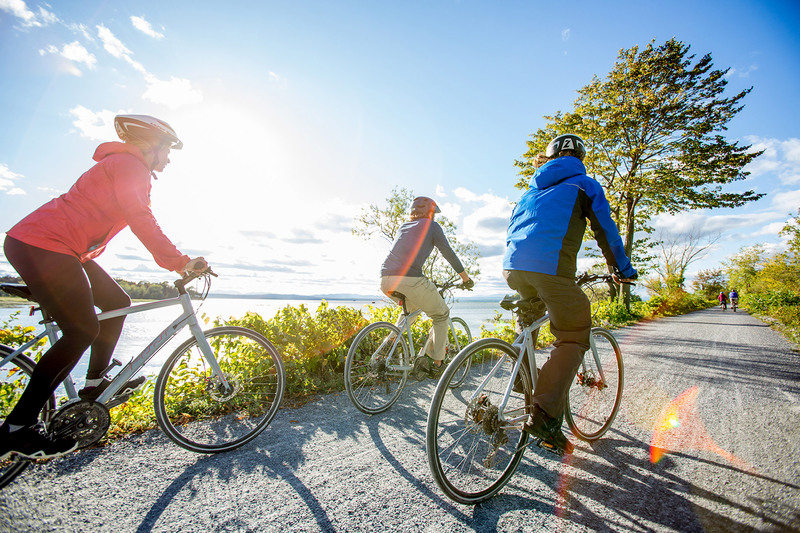 If you really want to make sure that you are not harming the fragile trails during mud season, it may be time to check out the Island Line Rail Trail that runs from Burlington, through Colchester, all the way to South Hero. 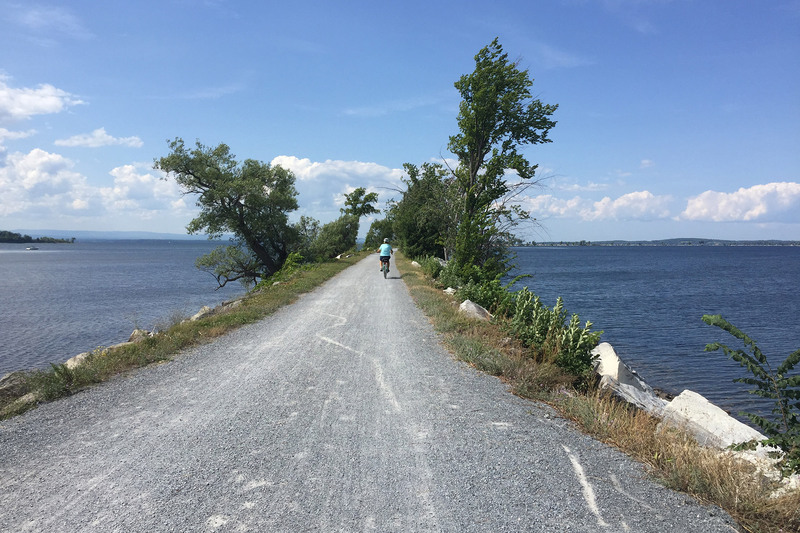 This is a 14-mile asphalt and gravel trail that rolls through the Burlington waterfront, crosses Lake Champlain on the spectacular Colchester causeway, and finishes with a bike ferry to cross a 200-foot gap to South Hero island. Throughout this trail there are views of the Adirondack Mountains across Lake Champlain, as well as beach spots to stop and rest. Once you reach the Colchester Causeway you are sandwiched between views of the Adirondack Mountains to the west and the Green Mountains to the east. If you would rather not walk this, you can always rent a bike at one of the local shops in Burlington. Remember to use discretion when you are on the trails, and turn around when the mud becomes too much. These trails are meant to be enjoyed for a long time, so please help make sure they remain preserved. 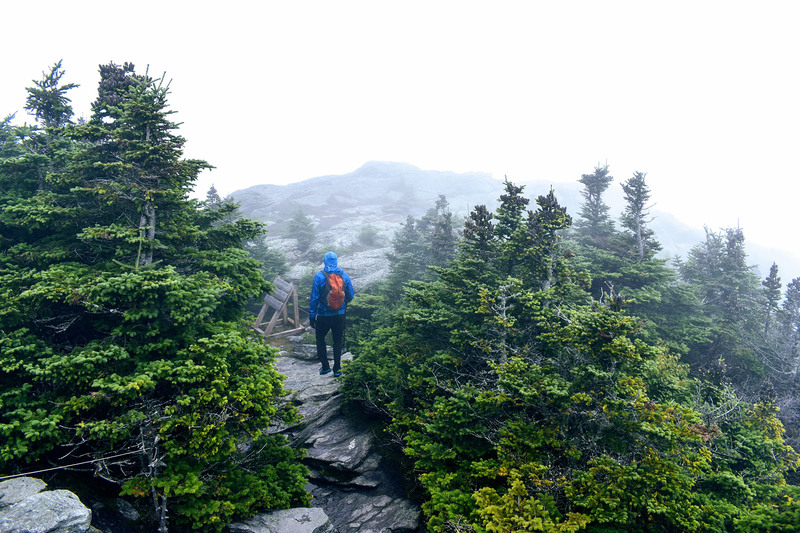 Hike up Vermont’s tallest peak, scramble along an alpine ridge, and bask in 360-degree views, all on an ascent of Mount Mansfield via a section of the Long Trail, the U.S.’s oldest long-distance hiking trail. When viewed at a distance, Mansfield’s elongated ridgeline resembles a human head, with the various high points named for facial features: the Forehead, Nose, Chin, and Adam’s Apple. 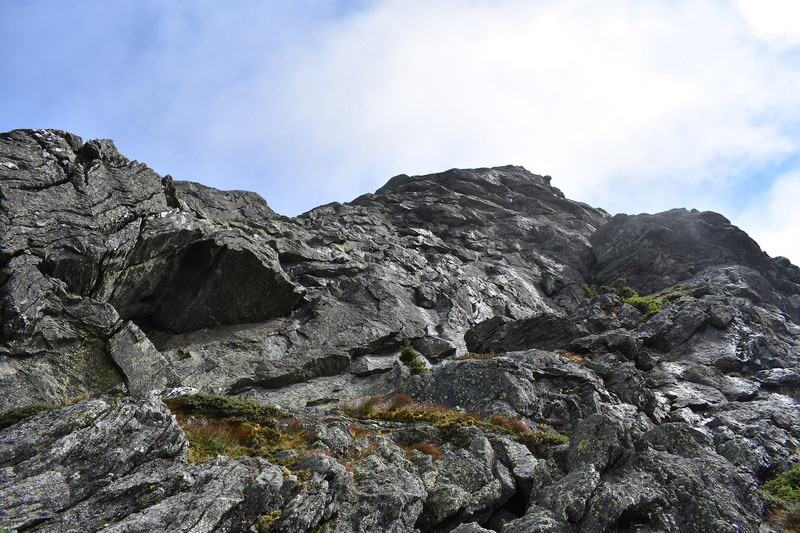 The most straightforward way to get to the true summit, the Chin, follows the Long Trail South’s white rectangular blazes beginning on Mountain Road (Route 108). From Burlington, take Route 89 south to exit 10 for VT-100 South towards Waterbury US-2. Follow this a short way, before turning on VT-100 North. Continue on VT-100 North for just under 10 miles, and take a left on VT-108 North/Mountain Road. After you drive approximately nine miles, the parking lot will be on your right. 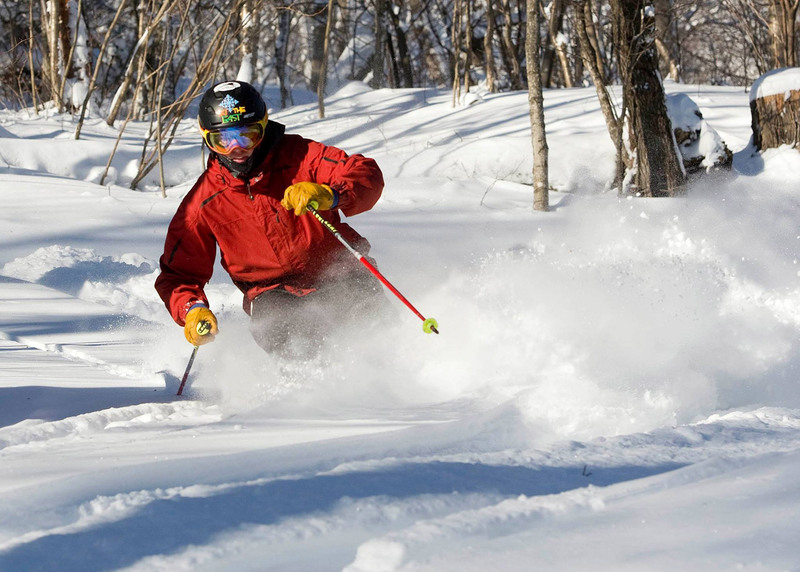 If you’re coming from Stowe, there’s a small parking lot on the left side of Route 108, just after Stowe Mountain Resort. Since the lot is small and easy to miss, pay close attention after the resort. If you begin driving uphill on Route 108 into Smugglers’ Notch, turn around; you’ve gone too far. Once you’ve geared up, walk on Route 108 back toward Stowe Mountain Resort. The trail starts at a break in the trees (44.537126, -72.790910) about 50 yards down the road. Look for an information board and trail marker a short way into the woods. The hike begins on relatively smooth trail through a hardwood forest. It is well marked and easy to follow. It also starts climbing almost immediately, which is no surprise, considering the trail gains 3,000 feet in a little over two miles and occasionally crosses some small streams. Around the one-mile mark, the trail becomes rockier, climbing up short, slabby sections. 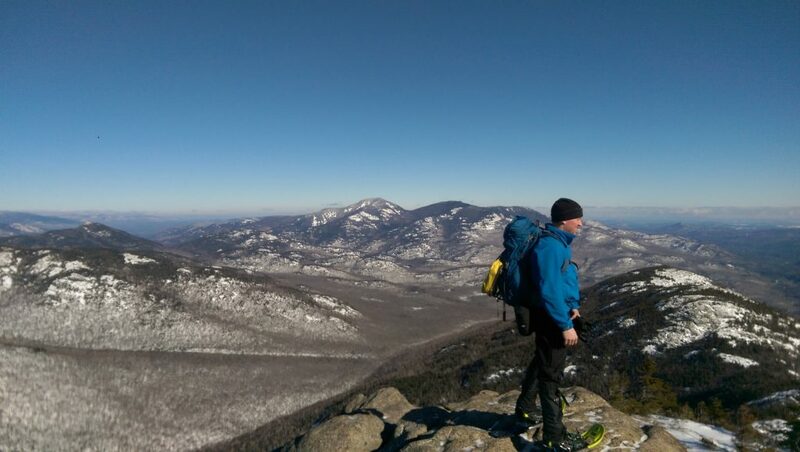 The footing here is not quite as good, but nothing out of the ordinary for anybody who’s climbed some of the Northeast’s 4,000-footers. 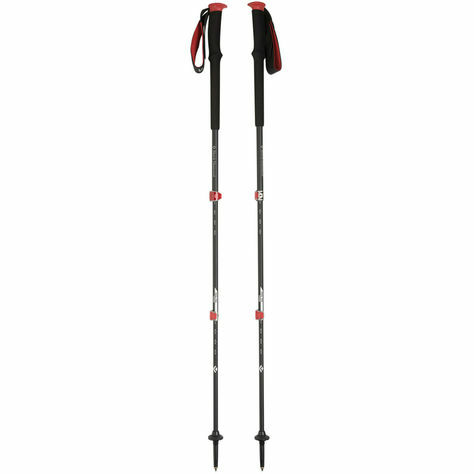 Trekking poles are helpful. 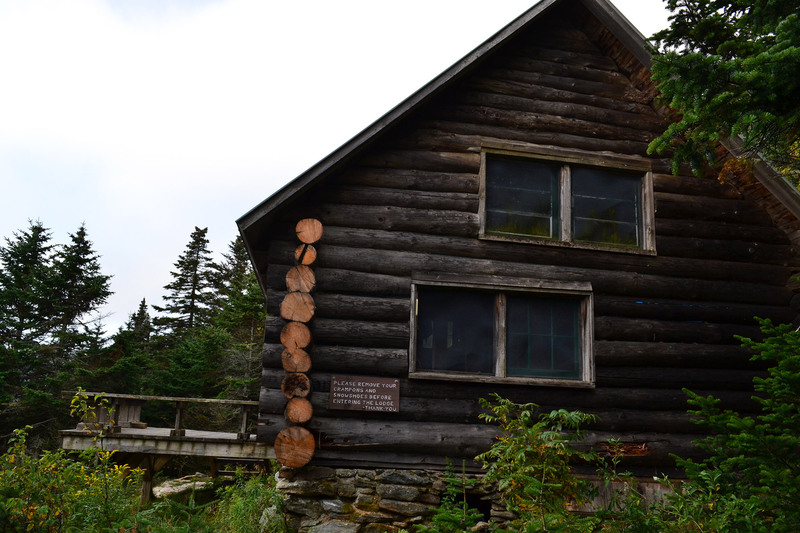 Just past the 1.5-mile mark is the Taft Lodge (44.542551, -72809568), the oldest hut on Vermont’s Long Trail. For a moderate fee, hikers can stay here overnight either on the way to the summit or as part of a longer outing. The lodge, built in the 1920s and recently renovated, sleeps up to 24 and has outhouses and a water source nearby. 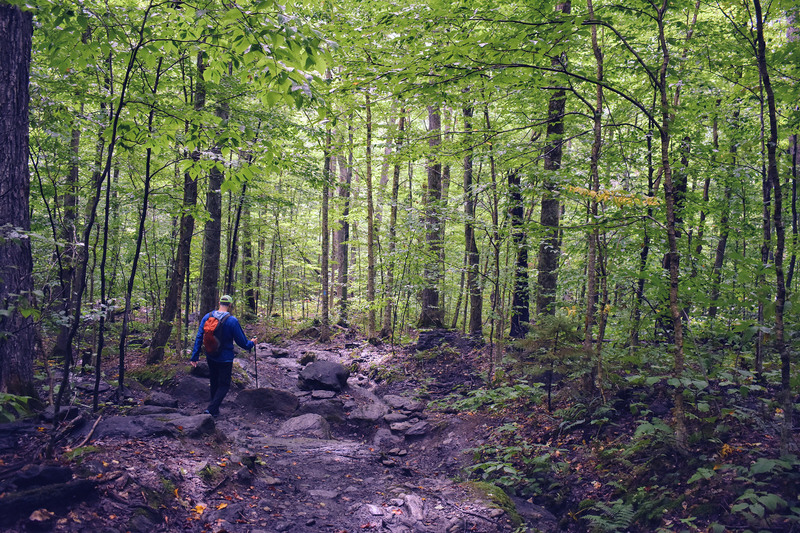 Whether you’re day-hiking or backpacking, Taft Lodge is on Vermont’s Register of Historic Places and worth visiting, even if only to have a snack. 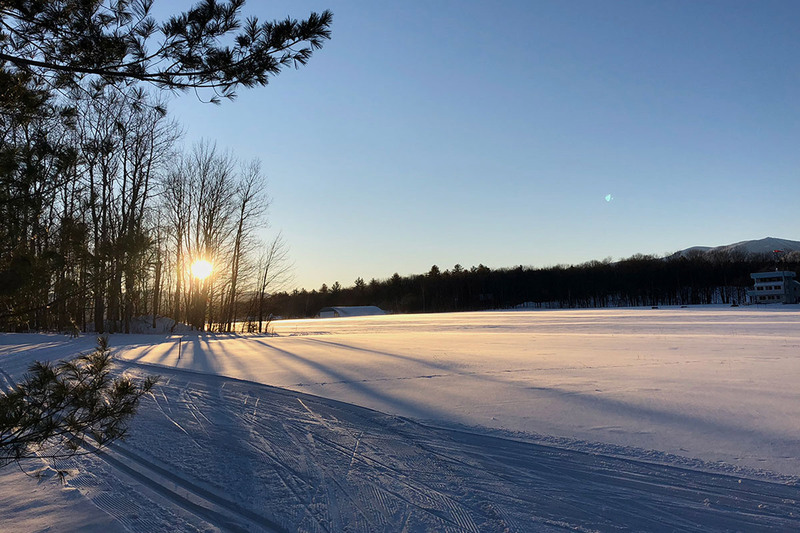 And, because the lodge is near treeline, it’s also a great place to assess whether you’ll need to add a layer (or two). From Taft Lodge, stay on the Long Trail South and continue climbing toward the ridgeline. 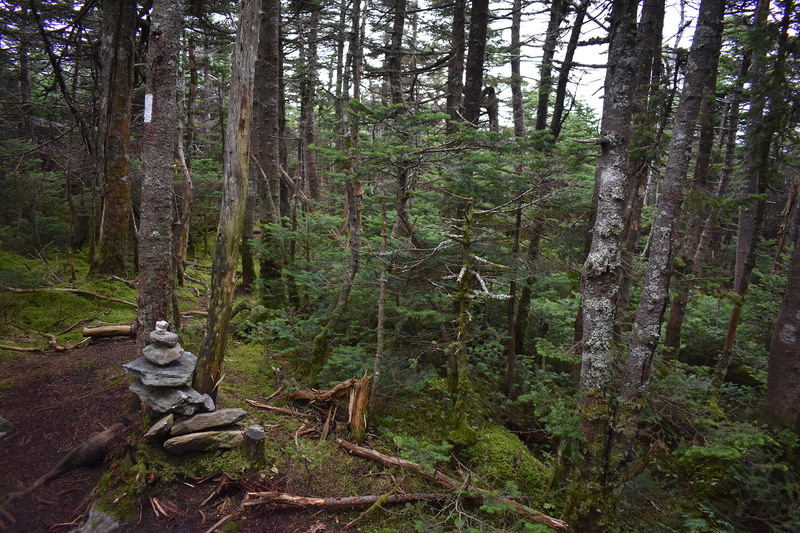 The trail above the lodge remains rocky, offering hikers regular glimpses of Mansfield’s ridgeline through the thinning tree cover. There are also a few spots to turn around and look south, with Stowe in the foreground and the Green Mountains in the distance. 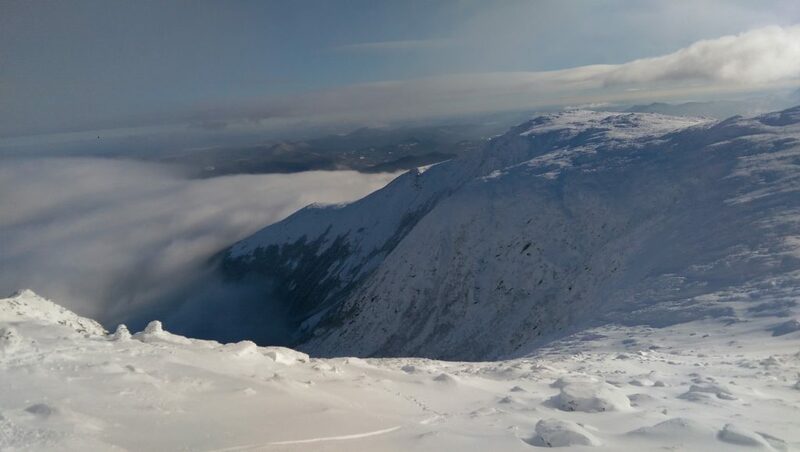 If you’re out of breath due to the elevation gain, spend a few moments trying to spot the unmistakable double-bumped alpine ridgeline of Camel’s Hump, another of Vermont’s classic alpine summits. In one-third of a mile, the Long Trail South reaches the col between the Chin (the true summit) and the Adam’s Apple. Here, the Hell Brook Trail and the Adam’s Apple Trail join the Long Trail. Since the junction (44.545639, -72.811772) is moderately sheltered, it’s a great spot to add an extra layer before popping further above treeline. From the junction, the Long Trail South makes a sharp left, climbing the ridge toward Mansfield’s proper summit, the Chin. This section is open and exposed to the elements. If wind is coming from the west, this will be the first time you feel it. Near the top of the summit cone, there are a few short-but-exposed sections that require scrambling and careful footwork. As you ascend, try to memorize the hand and foot holds for the descent. 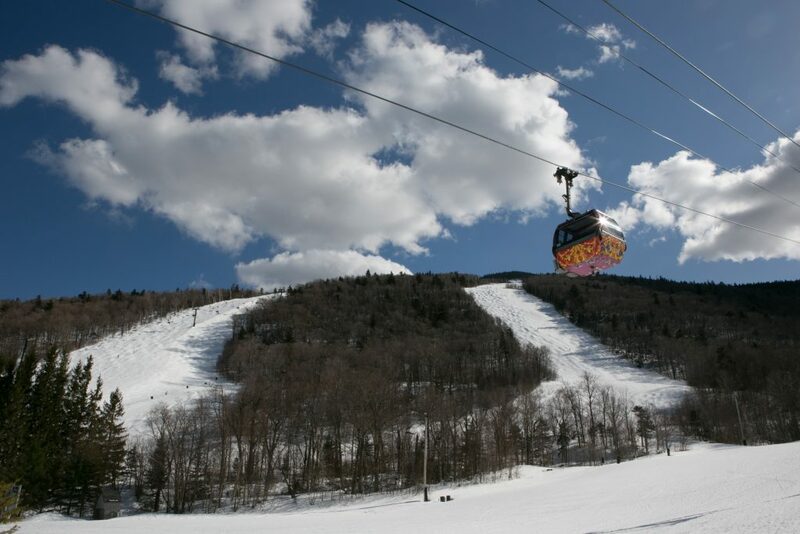 Mansfield’s summit is a large, flat alpine area that offers plenty of room to spread out. So, find a rock, sit back, and enjoy the broad, open summit (44.5430453, -72.815436) and incredible 360-degree views. 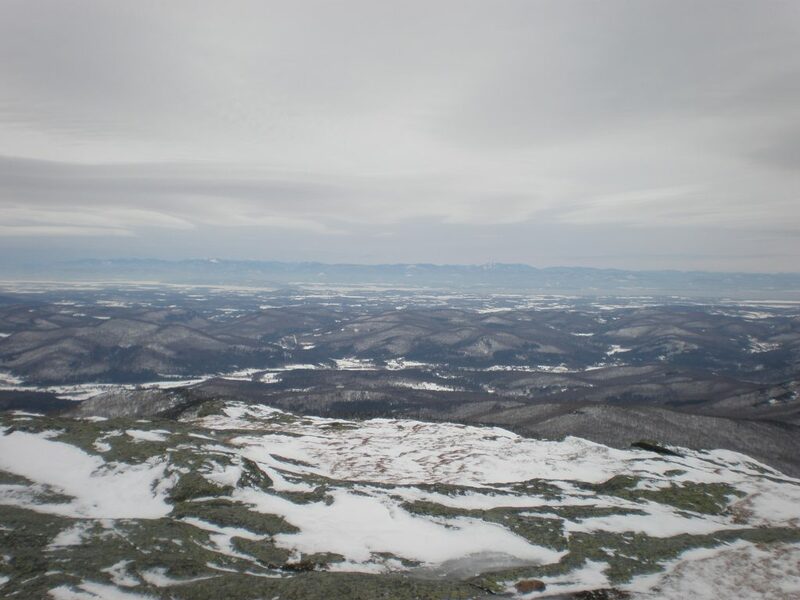 Looking west, hikers can see Burlington and Lake Champlain, with New York’s Adirondacks in the distance. To the north is Canada! In the distance to the east are New Hampshire’s White Mountains. Finally, the Green Mountains spill out to the south. 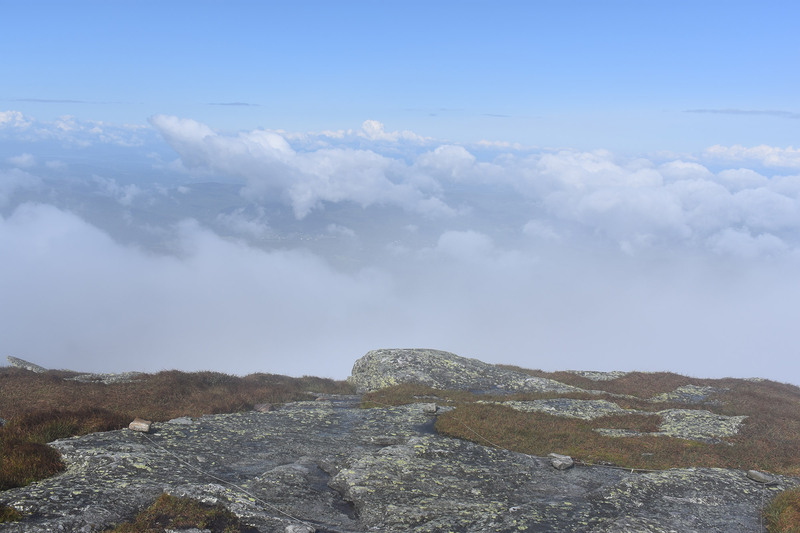 Mount Mansfield is home to 200 acres of alpine tundra, and is one of only three places in the state of Vermont where it is found (Camel’s Hump and Mount Abraham being the other two). In addition to its rarity, alpine tundra is also very fragile and susceptible to human impact. 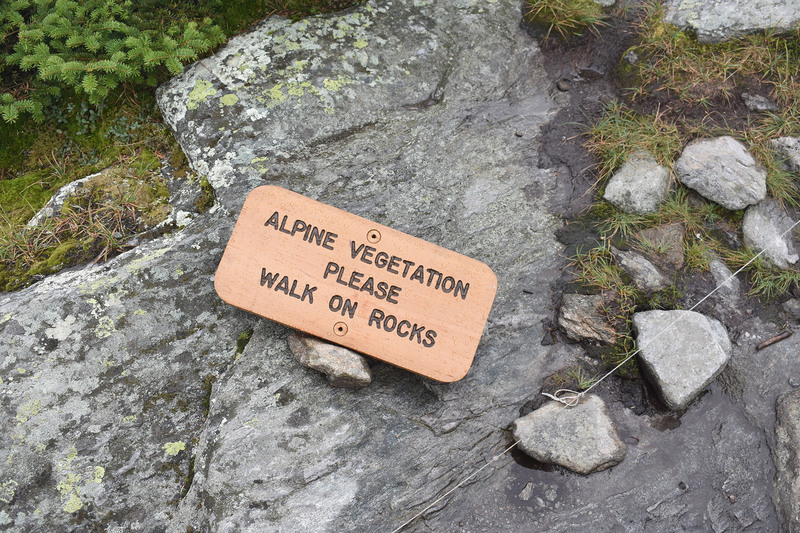 Because of this, please stay on the rocks and in the designated paths when traveling above treeline. Whenever you can pull yourself away from the summit, just retrace your steps to your car, first by taking the Long Trail North to the clearing. 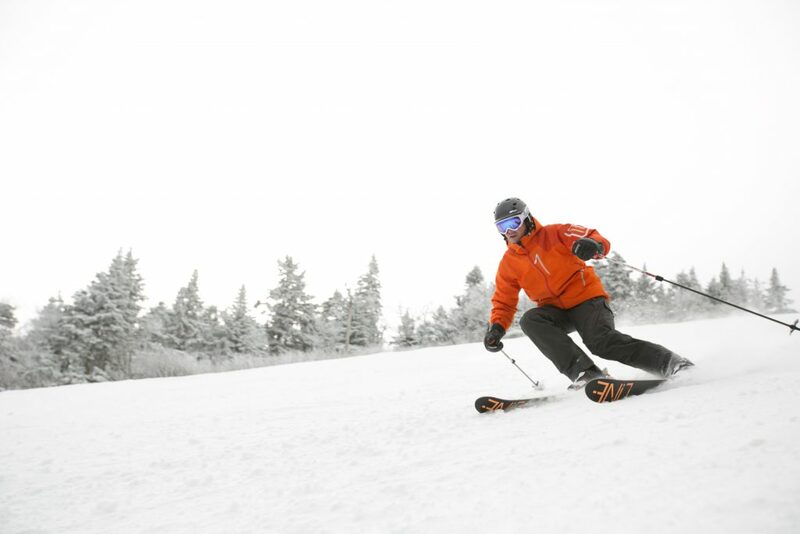 Use particular caution on the exposed portions of the ridge, as they can be harder during the descent. Once you’re back at the junction, continue on the Long Trail to Route 108. Hikers not ready to return to their car can make a short (five- to 10-minute) detour from the col to the Adam’s Apple (44.546573, -72.810353). The Adam’s Apple Trail offers great views of the Chin and Mansfield’s other features and is usually much less crowded than the Chin. Since it is also slightly less exposed to the weather, it’s a worthwhile objective if conditions put the true summit out of reach. 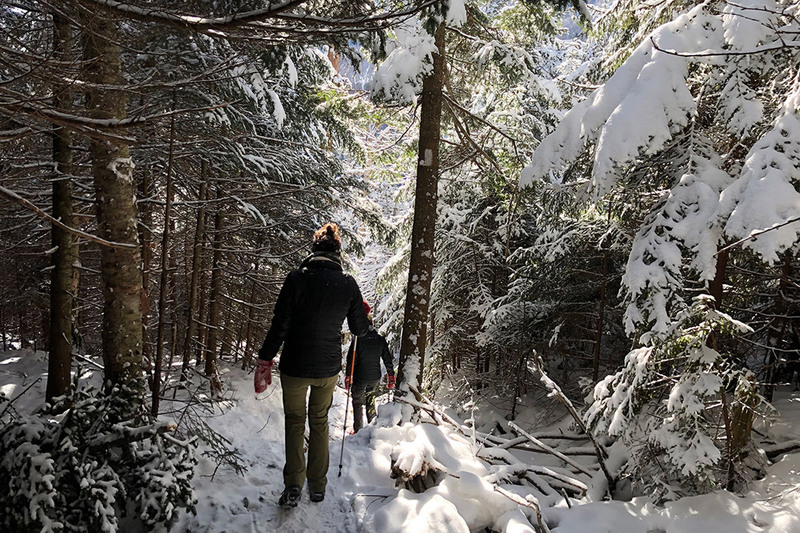 A longer detour—and one that requires pre-trip car shuttling or a short road march at the end— is to continue on the Long Trail South from the Chin, crossing all of Mansfield’s features. 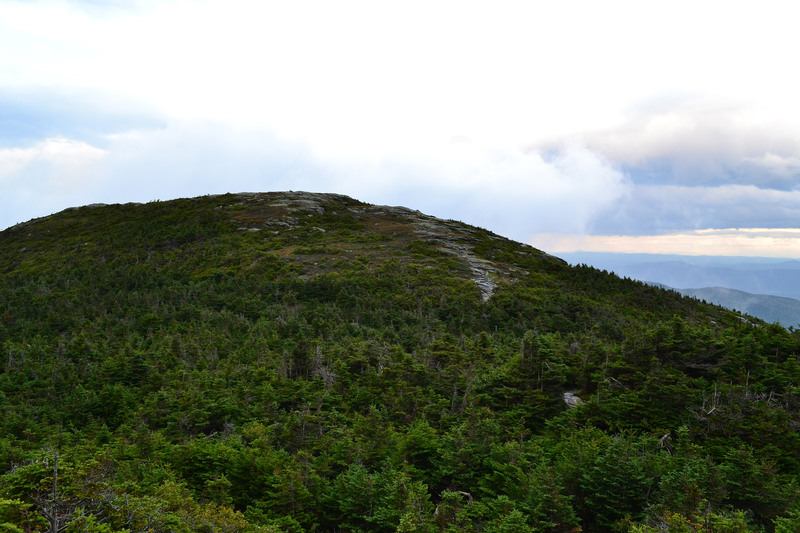 Over 1.5 miles of ridgeline hiking, you’ll pass the Lower Lip, the Upper Lip, the Mount Mansfield Peak Visitor Center, the parking lot for the Mount Mansfield Toll Road, and, finally, the Nose. 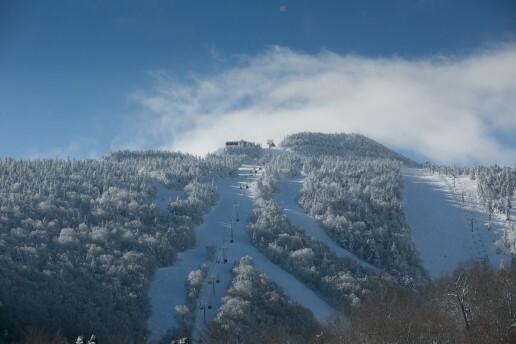 From the Nose, hikers can head back to the Visitor Center, and then descend a short way on the Toll Road to link up with Haselton Trail, which ends at the base area of Stowe Mountain Resort. Alternately, arrange to have somebody pick you up at the top of the Toll Road. Pro Tip: If you do decide to hike the full ridgeline and the weather turns, the Cliff Trail is an early option for bailing out. Connecting with the Long Trail just before the Lower Lip, it descends to Stowe’s Cliff House, near the top of Stowe’s Gondola SkyRide. From there, hikers can follow a marked access road or ski trails to the base area. Traction is at a premium on the exposed sections of Mansfield’s ridgeline. The Asolo Fugitive (Men’s) and Revert (Women’s) are longtime favorites. Lightweight and packable, a windshirt is ideal for any trip above treeline. 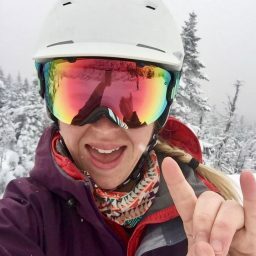 The Outdoor Research Ferrosi Hooded Jacket (Men’s/Women’s) is perfect for handling the ridgeline’s variable conditions, and much like Vermont’s craft brews, it has developed a cult-like following over the years. 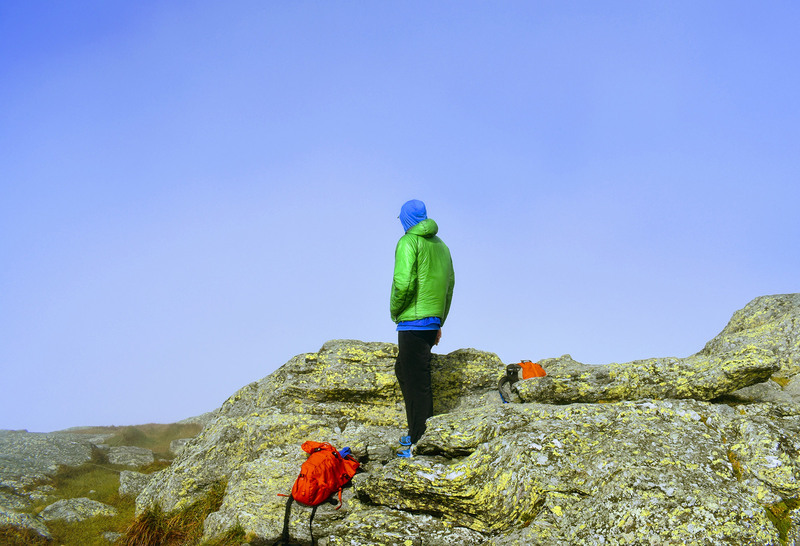 A puffy coat is great for cool mornings and cold summits, and is handy to have in case of an emergency. The EMS Alpine Ascender Stretch is a great winter midlayer that’s breathable enough to be worth stuffing in your pack for cool spring and summer days. One minute it’s sunny, and the next, you’re stuck in a downpour. 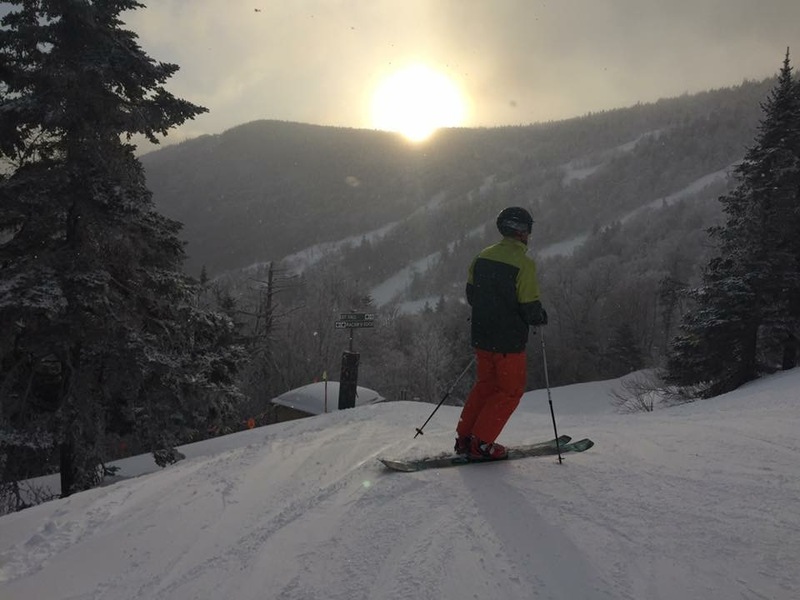 Green Mountain weather can change in a heartbeat, so be ready with the EMS Thunderhead, a reliable and affordable way to ensure you stay dry on your summit bid. In the spirit of the state of Vermont, consider a pair of locally sourced socks from Darn Tough, made in nearby Northfield. Living up to their name, these socks come with a lifetime guarantee. Depending on the season, you might encounter a Green Mountain Club caretaker at the Taft Lodge. 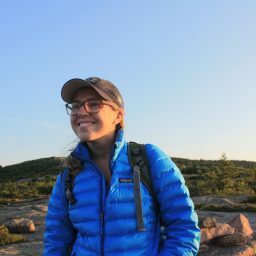 They’re all super nice and great resources for trail information. 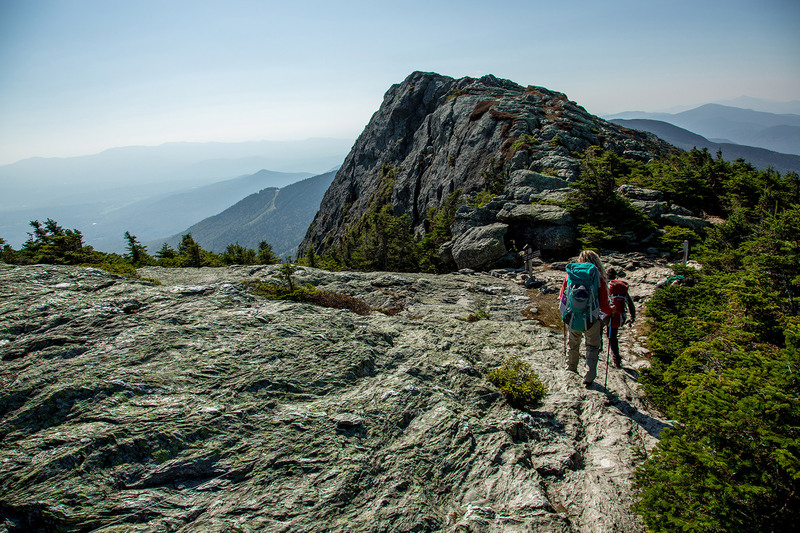 Vermont takes sustainability seriously when it comes to its trails, so get out before the snow melts, or wait until Memorial Day weekend to climb this ultra-classic mountain. 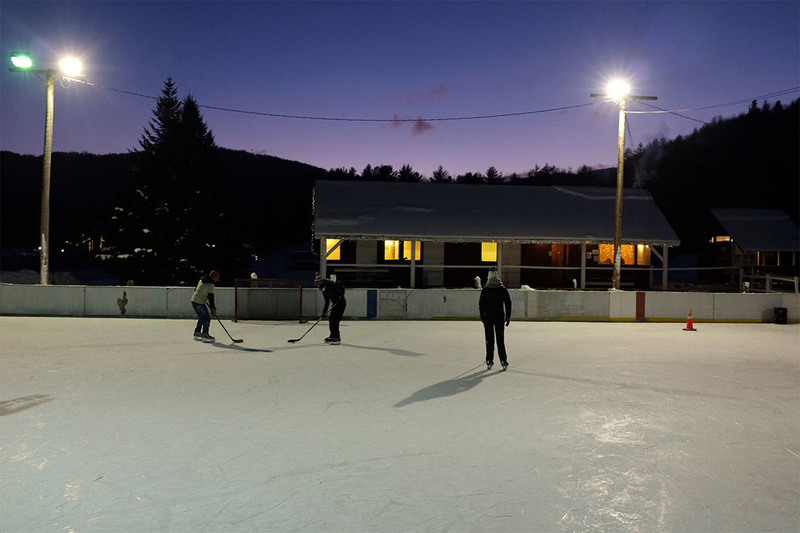 Celebrate a successful summit day at Doc Ponds in Stowe. 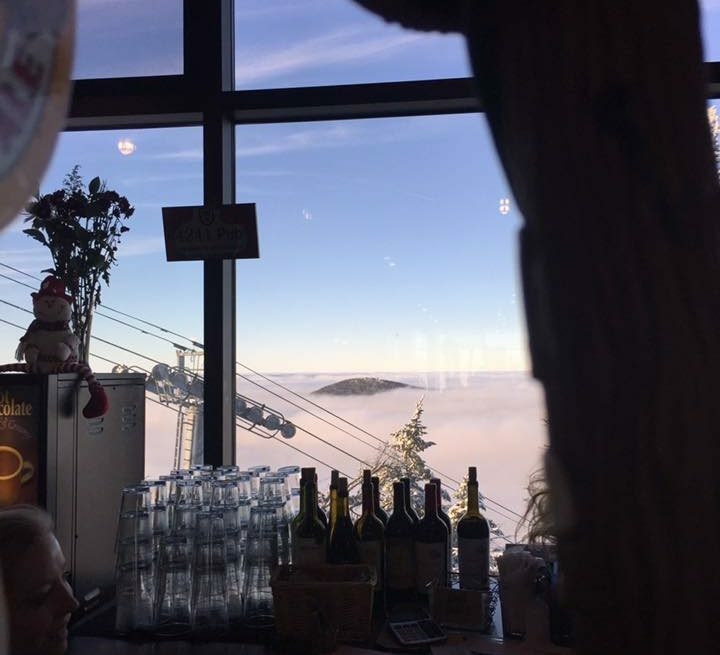 The bar is packed with Vermont’s best beers (Hill Farmstead, Lawson’s Finest, and Foley Brothers, just to name a few), and the homemade onion dip with housemade BBQ chips is not to be missed. 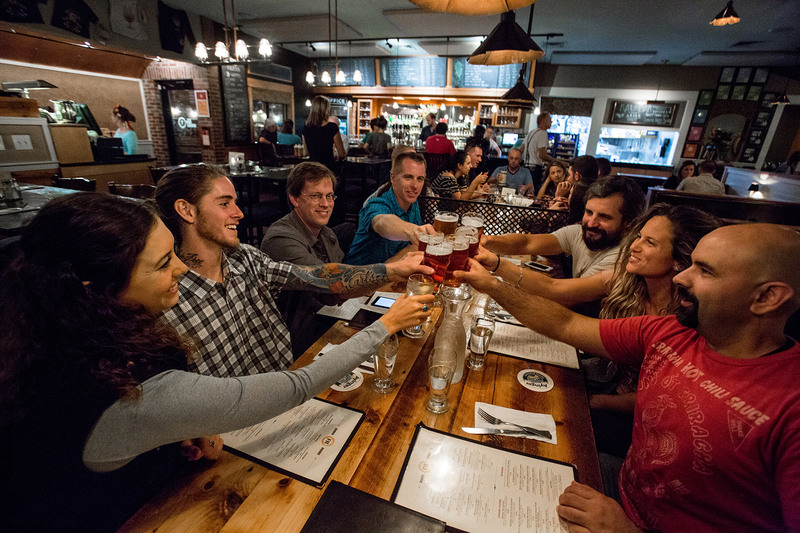 Vermont’s repuation for great beer is well deserved. 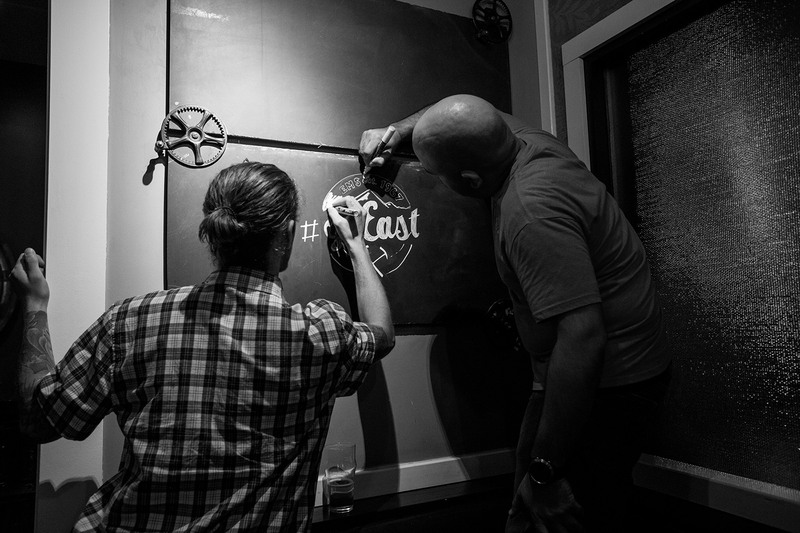 Since you’re so close, Alchemist Beer’s brewery in Stowe is a must-visit. And, don’t forget to bring your cooler, in case you decide to pick up some souvenirs to bring home! 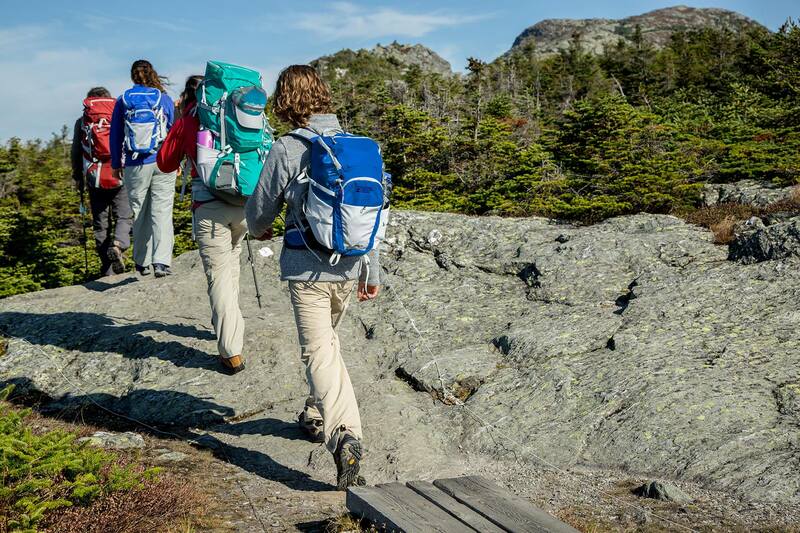 If you’re spending the weekend exploring Vermont, make sure to check out our guides to Exploring Burlington Like a Local and hiking Camel’s Hump. 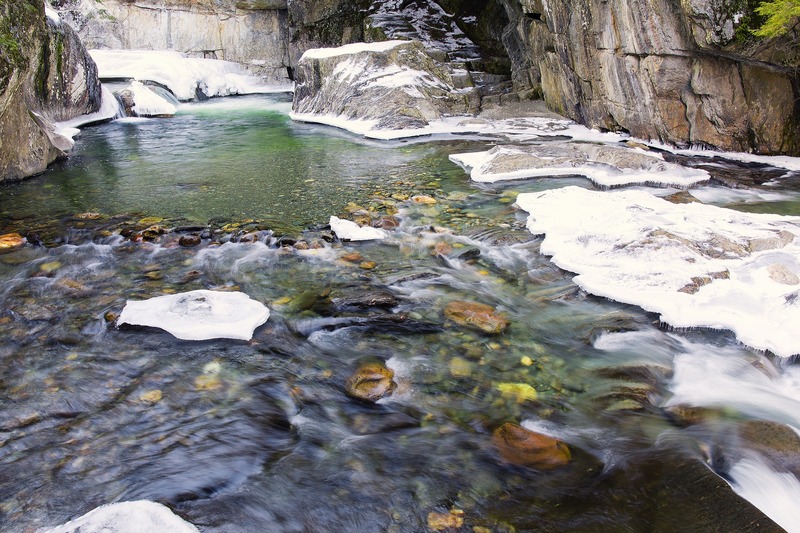 If you’re looking for a great place to camp, the Smugglers’ Notch State Park is just a few minutes away from Stowe Mountain Resort. Sites book well in advance for popular weekends, so make your reservations early. 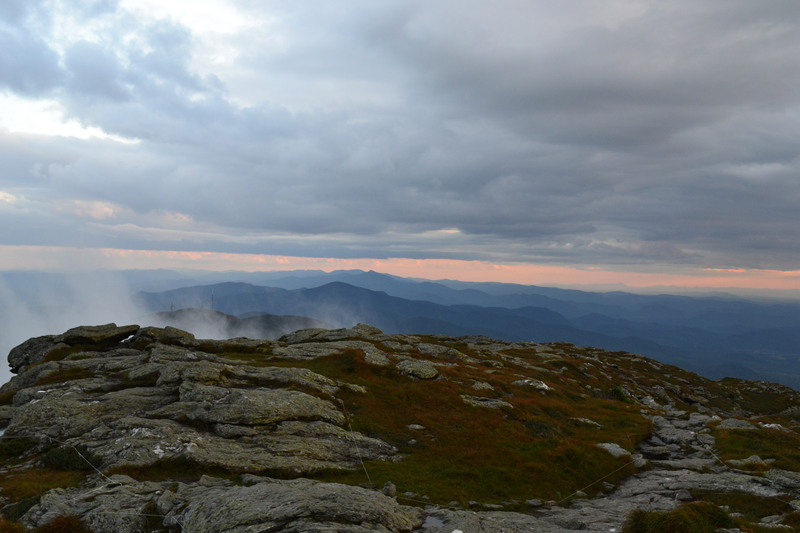 Have you hiked Mount Mansfield recently? Post your experience and the trail conditions (with the date of your hike) in the comments for others! 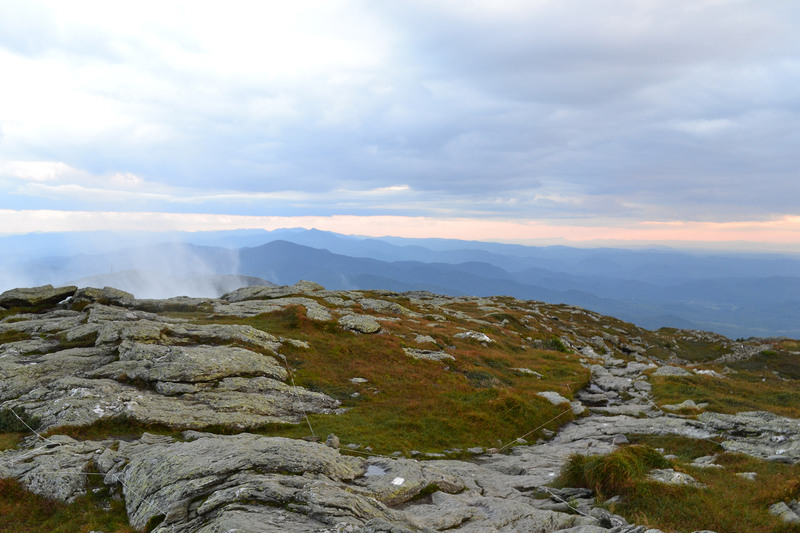 Climb to one of Vermont’s most imposing, rugged alpine summits in just a day or less. Looming over Interstate 89, Camel’s Hump draws thousands of hikers every year to its undeveloped, alpine summit. 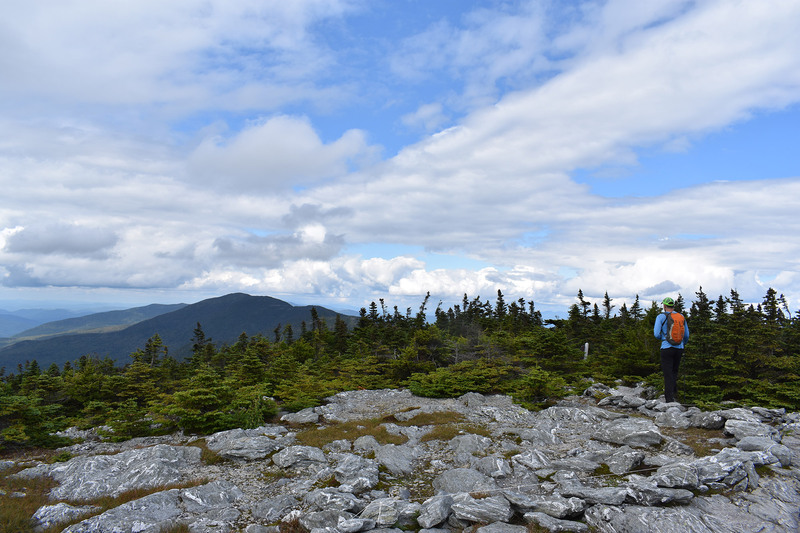 At just under five miles and gaining roughly 2,500 feet in elevation, the Burrows Trail is a great way to hike Vermont’s third tallest peak. 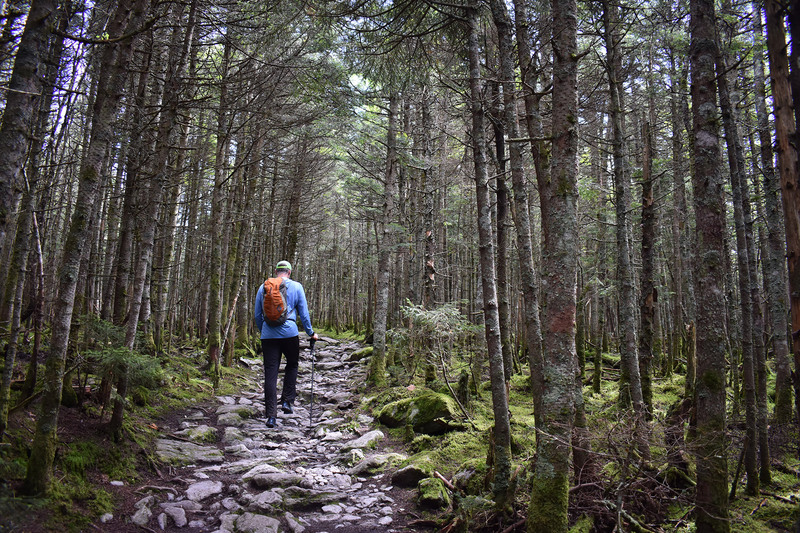 It delivers everything you would expect to find on the Northeast’s longer, more grueling classic hikes in a short, moderate trek that most can do in a half-day. Although the hike itself is straightforward, getting to the Burrows Trailhead can feel fairly complex for first-timers. From Interstate 89, take Exit 10 onto Vermont Route 100 South. Follow Vermont Route 100 South for a short distance to a rotary. Then, take the first right at the rotary onto U.S. Route 2 West/North Main Street and follow it for almost 10 miles to Cochran Road. From Cochran Road, you’ll want to travel roughly a quarter of a mile to Wes White Hill. It’s here, away from I-89 and U.S. 2, that you begin to feel Vermont’s true rural nature, and may begin to question your navigational skills. Follow Wes White Hill for 3.1 miles, until it becomes Pond Road. Then, follow Pond Road until it becomes Bridge Street. Although you’re basically driving straight, amid the fields and farms, and along sometimes dirt roads, it’s easy to wonder if you missed a turn somewhere along the way. So, follow Bridge Street for approximately a half-mile, before turning left onto East Street. After driving about the length of a football field on East Street, make a slight right onto Main Road. Continue on Main Road for 2.5 miles before turning left onto the appropriately named Camels Hump Road, which, in accord with local nomenclature for the peak, omits the apostrophe. The road is unpaved and narrow, so drive slow and be aware of oncoming traffic as you make your way along the 3.5 miles to the Burrows Trailhead at the road’s end. If at any point you’re feeling lost, don’t worry. The GPS on our phones worked until just after the turn onto Camels Hump Road. And, if your coverage fades out earlier, consult your map, and you’ll be fine. Or, stop at any of the local stores that dot the landscape and ask for directions. It’s been our experience that everyone is very friendly and happy to help a hiker. Pro tip: They’re especially helpful if you buy some local beer or syrup. The Burrows Trail is a very popular hike, and the parking lot is relatively small. Those getting a late start should be prepared to either park on the road or at the Forest City Trailhead, where hikers can add a couple of miles to their day by using the Forest City Trail to connect with the Burrows Trail, or just road-march the 0.7 miles up to the Burrows Trailhead. 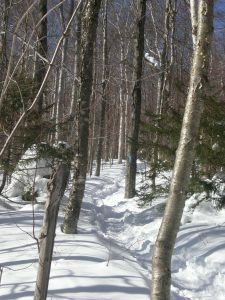 The Burrows Trail begins at the back of the parking lot located at the end of Camels Hump Road (44.305058, -72.907684). If you have any questions about where you are heading, look for the plaque on a rock dedicated to Hubert “Hub” Vogelmann. He’s a long-time University of Vermont professor who is well known for his research on acid rain. Nearby, the Burrows Trail begins. 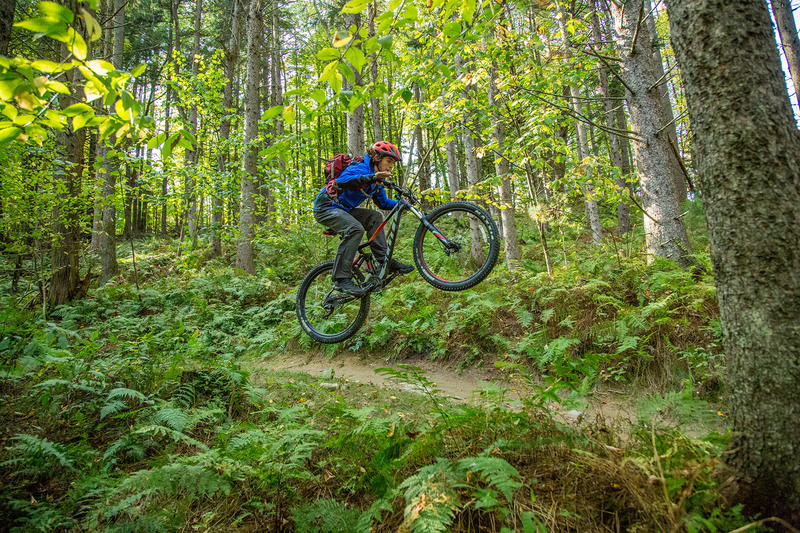 It doesn’t take long to feel the denseness of the Vermont forest, as the lush green landscape has a way of encompassing you on the trail’s early part. Hikers also don’t get much of a warm up. While the trail starts off fairly mellow, it is best described as steep and direct, and quickly becomes a more strenuous climb, with a preponderance of roots and rocks waiting to trip up hikers. The Burrows Trail gains enough elevation over the first mile that the incredibly green landscape transitions into a pine forest with little to no undergrowth. The trail itself also changes, with the grade becoming more consistent, the rocks getting bigger, and the roots burlier. Take these shifts as a good sign, one signalling that you’re getting closer to the junction with the Long Trail. Just past the two-mile mark, the Burrows Trail opens into a large clearing (44.312968, -72.885391), where the Burrows, Monroe, and Long Trails all intersect. The clearing is also a great spot to grab a snack and prepare for the upcoming above-treeline hike. 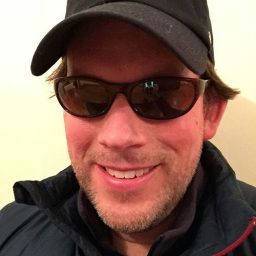 Above this, the weather is often vastly different from what hikers have so far encountered on their trip, so add an extra layer and, on colder days, a hat, gloves, and jacket. Keep in mind that layering up is much easier to do in the trees, where the wind isn’t trying to blow your jacket towards New Hampshire. 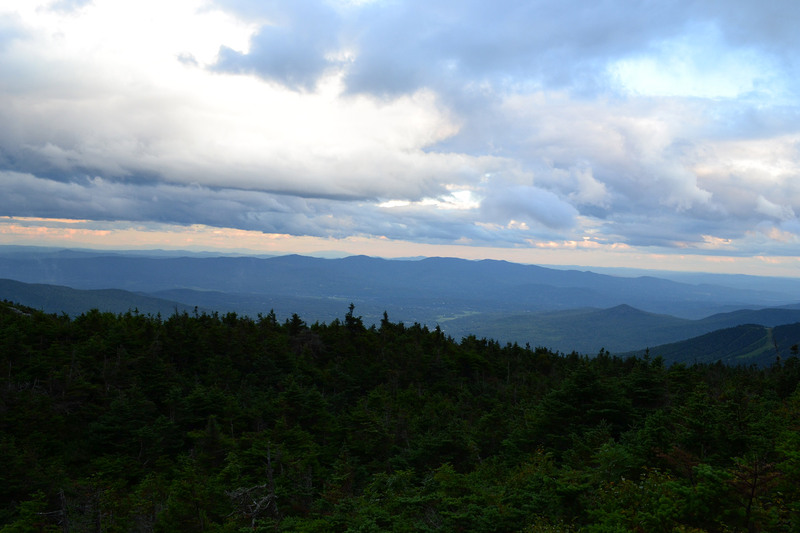 From the clearing, take the Long Trail south for the final 0.3 miles to Camel’s Hump’s 4,083 foot-tall summit. This is the day’s most challenging section, featuring a short scramble before the trail traverses through the alpine zone and up to the summit on slick and rocky terrain. Since this area is home to rare and threatened arctic-alpine vegetation, try to walk on the rocks and stay between the twine strung out as a directional aid along the path. 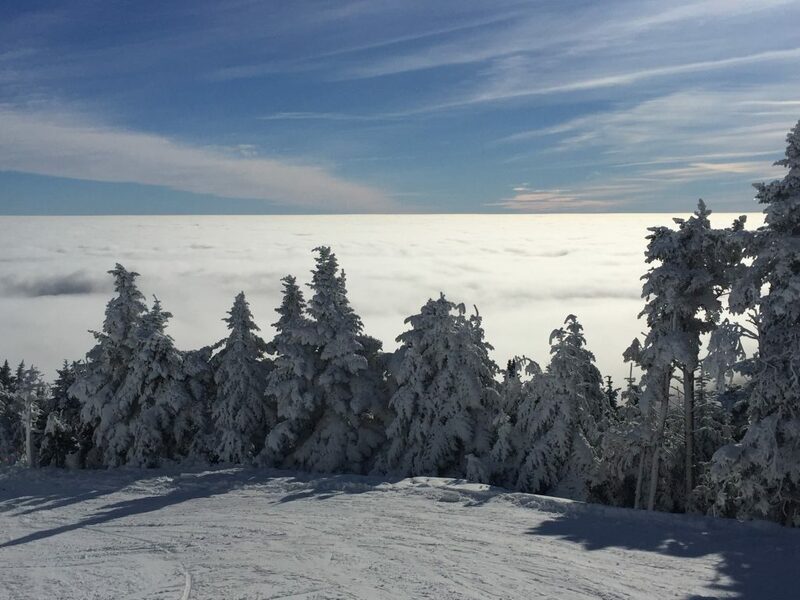 Despite being atop a busy mountain, the broad, treeless summit of Camel’s Hump—Vermont’s highest undeveloped peak—offers plenty of room to spread out. So, find a rock, sit back, and enjoy the open summit (44.319466, -72.887024) and its incredible 360-degree views. 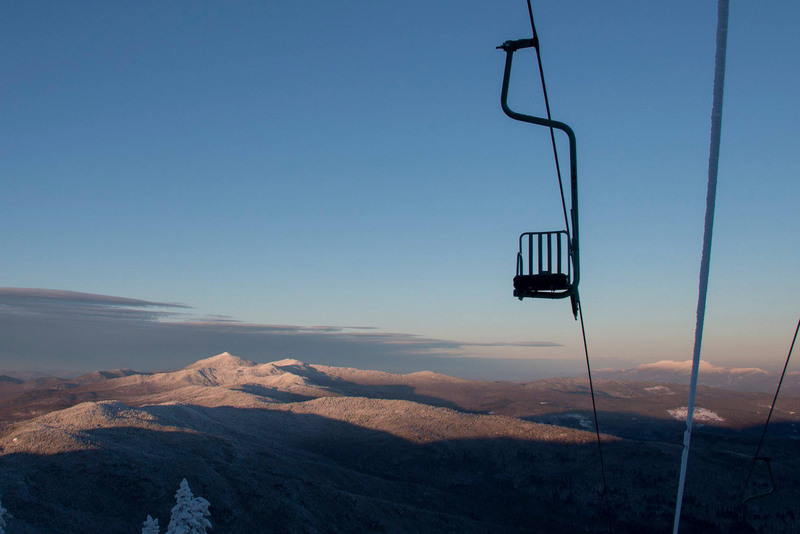 You’ll soon realize why Camel’s Hump is featured on the Vermont state quarter. In terms of views, to the west are Burlington and Lake Champlain, with the Adirondacks in the distance. Looking north, hikers can pick out the iconic Mt. Mansfield nestled among the most northern Green Mountains. To the east, the green of Vermont eventually merges into New Hampshire’s White Mountains, with Mt. Washington and the Presidential Range guarding the horizon. 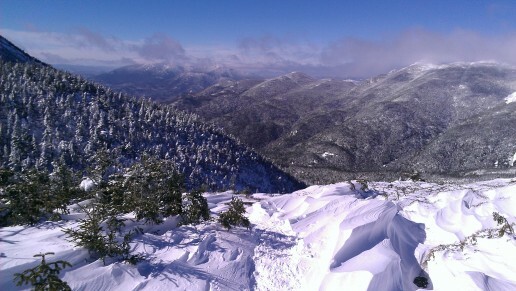 Finally, the Green Mountains, including Ellen, Abraham, and Killington, spill out to the south. Whenever you can, pull yourself away from the summit, and just retrace your steps to your car, first by taking the Long Trail north to the clearing. In the clearing, look for the well-marked Burrows Trail, and then, take it to the parking lot. 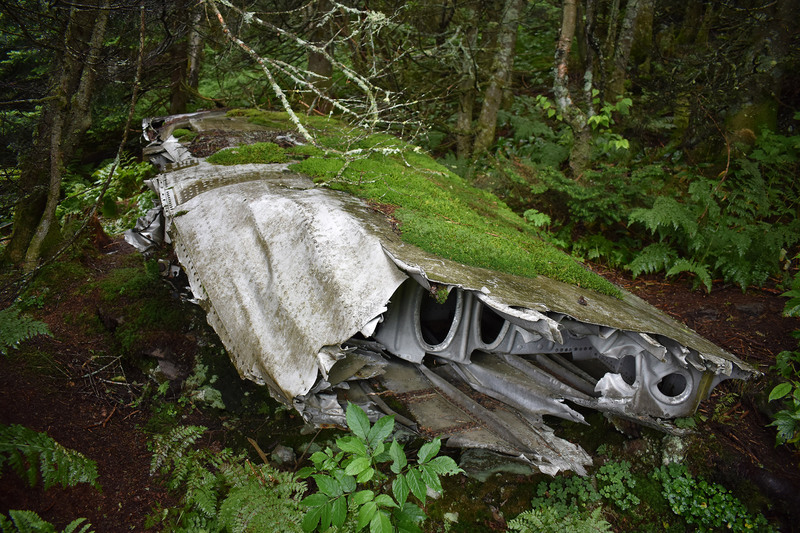 Hikers not yet ready to return can search for the remains of a 1944 plane crash. To find it, take the Long Trail south from the summit for 0.2 miles, first crossing some steep rock slabs and then descending into the trees. There, the Long Trail intersects with the Alpine Trail (44.31878, -72.887024). Follow that for a few hundred yards to a cairn marking an unnamed herd path that leaves the trail to the right. Then, follow the herd path a short ways downhill to the plane’s wreckage (44.318165, -72.886650). After taking in this unique sight, retrace your steps to the mountain’s summit. Overall, this detour is just under a half-mile round trip. But, due to having to descend and then re-ascend the summit slabs, it may take hikers a little longer than they anticipated. A wind shirt is a must-have for any hike that ascends above treeline. The Mountain Hardwear Ghost Lite is a lightweight, packable jacket that is perfect for the final push to the summit. 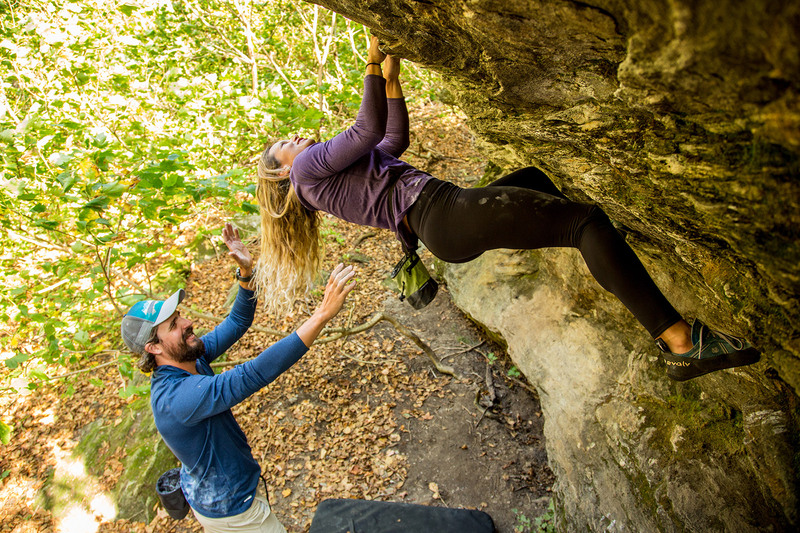 The weather can change pretty quickly in Vermont’s mountains, and more than once has a sunny forecast turned into a rain-soaked adventure. 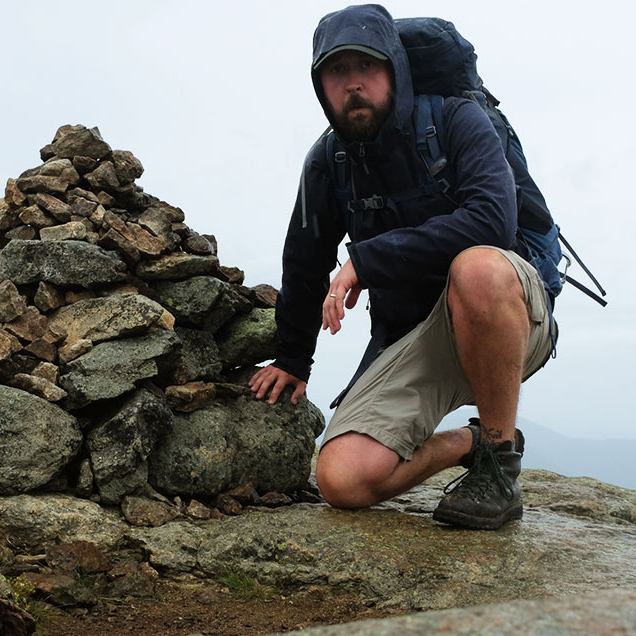 The EMS Thunderhead is a reliable, affordable way to ensure you stay dry on your summit bid. Rocks, roots, and slabs put a premium on traction. 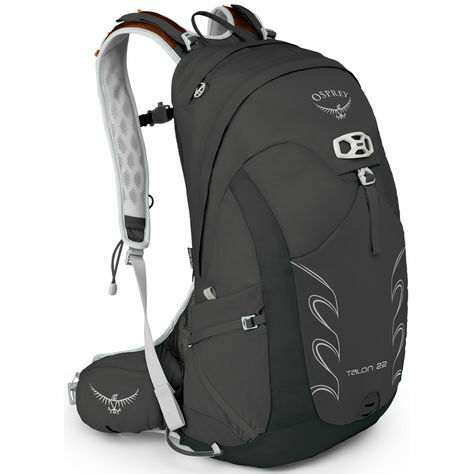 For short hikes like Camel’s Hump, a light hiker like the Oboz Sawtooth Low WP is fantastic. 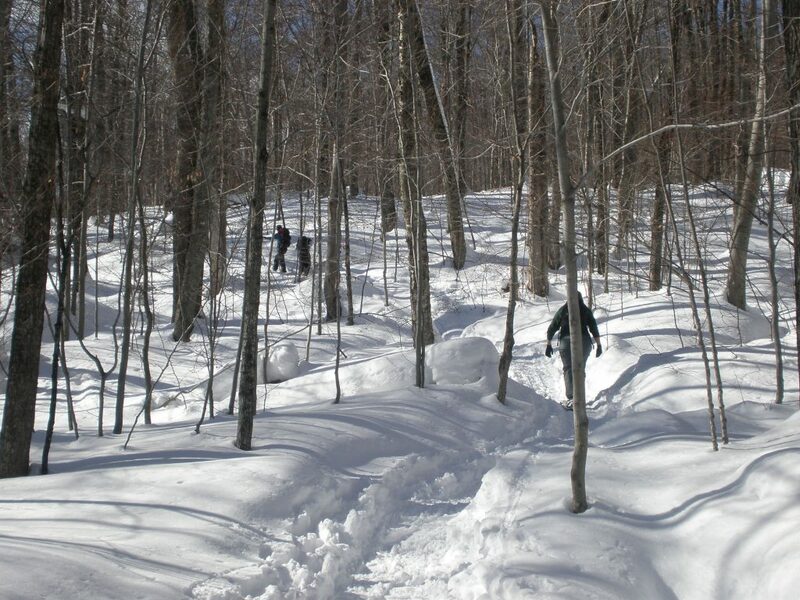 Vermont is known for its local products, so celebrate the state’s industry by hiking in a pair of super-durable Darn Tough socks, made down the road in Northfield. 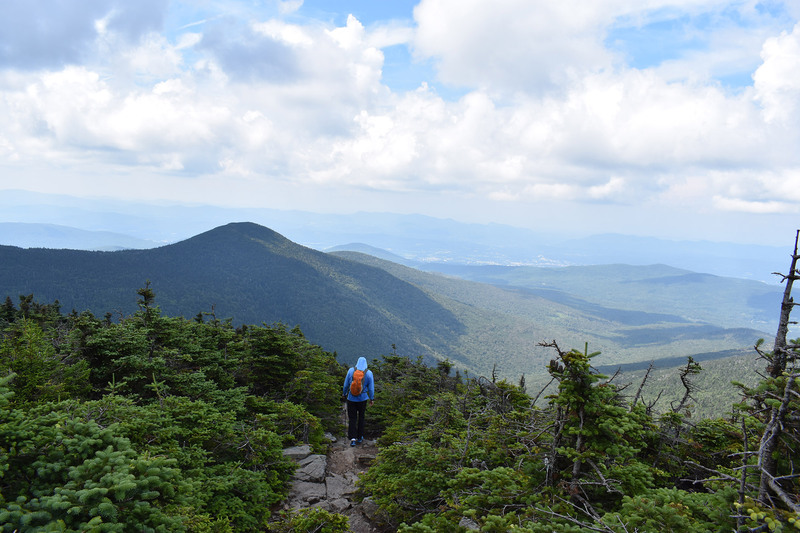 The Green Mountain Club’s Camel’s Hump and the Monroe Skyline Waterproof Hiking Trail Map is an inexpensive insurance policy against getting lost. Spotty cell service can render your phone’s GPS useless, and can make finding the Burrows Trailhead the most challenging part of the day. So, if you’re unfamiliar with the area, it’s worth taking along an old-fashioned yet reliable map. The DeLorme New Hampshire Vermont Atlas & Gazetteer is an excellent supplement to your phone and will help ensure you make it to the trailhead. 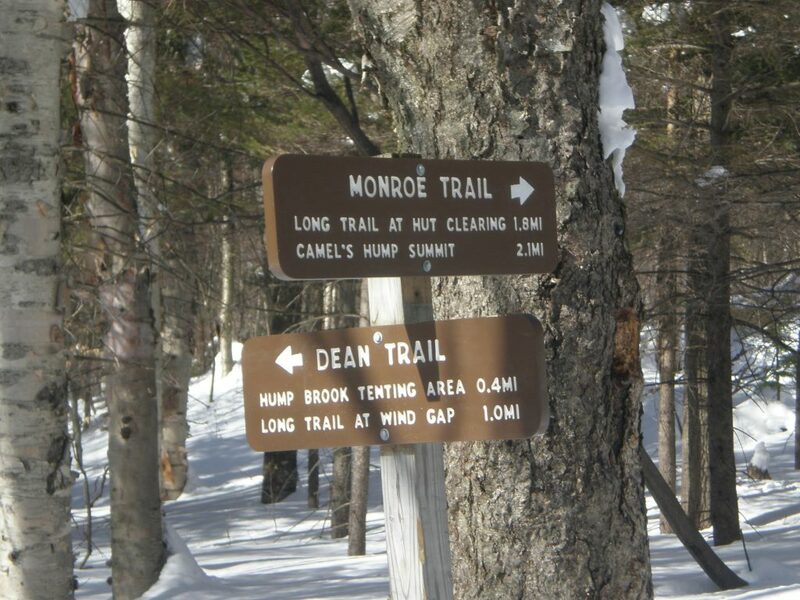 You might encounter a Green Mountain Club caretaker on Camel’s Hump. 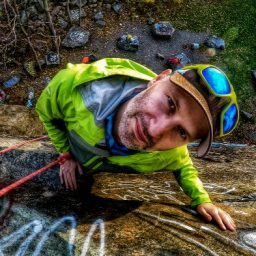 They’re all super nice and great resources for trail information, so ask them a question! 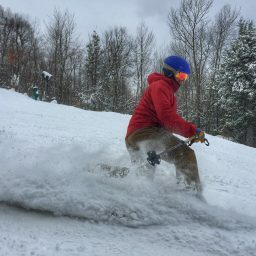 Vermont closes its trails for mud season. 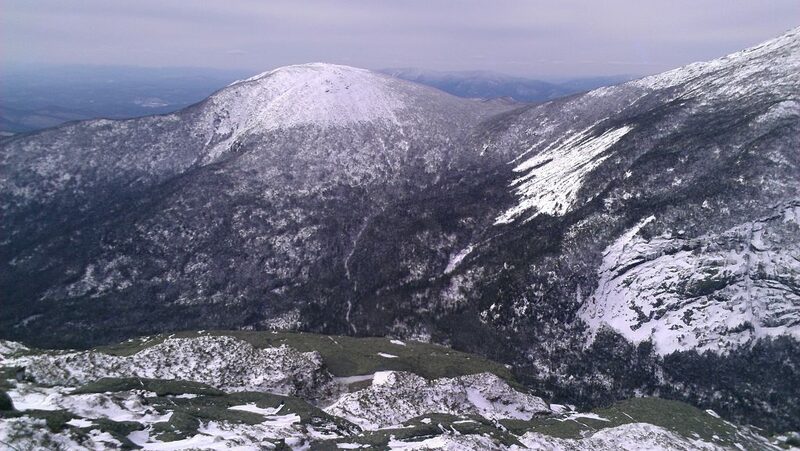 So, hiking is a no-go from when the snow melts to roughly Memorial Day weekend. 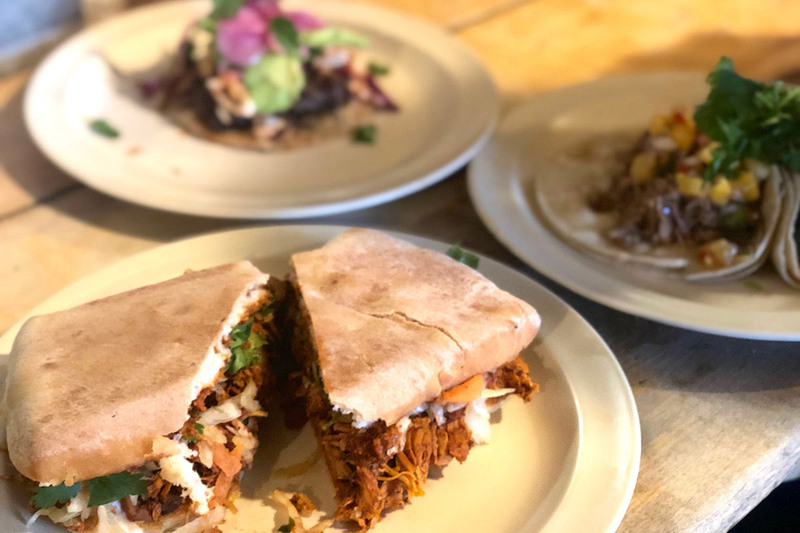 Stop at the Prohibition Pig on South Main Street in Waterbury for amazing local barbecue, beer, and cocktails on your way home! If barbecue isn’t your thing, Waterbury is home to the Ben & Jerry’s Ice Cream Factory. Take a tour, and at the end, have a pint of your favorite flavor. You’ve earned it. If you’re looking to make it an inexpensive weekend, the Little River State Park is a great campground about 30 minutes away. 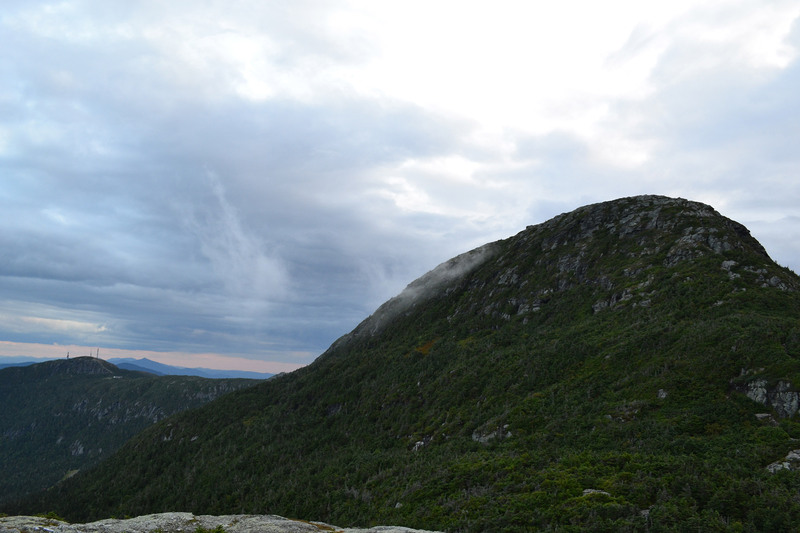 Have you hiked Camel’s Hump recently? 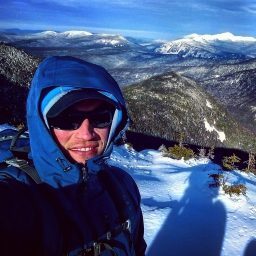 Post your experience and the trail conditions (with the date of your hike) in the comments for others! Often, people treat autumn as a grieving period for their hiking season’s end. 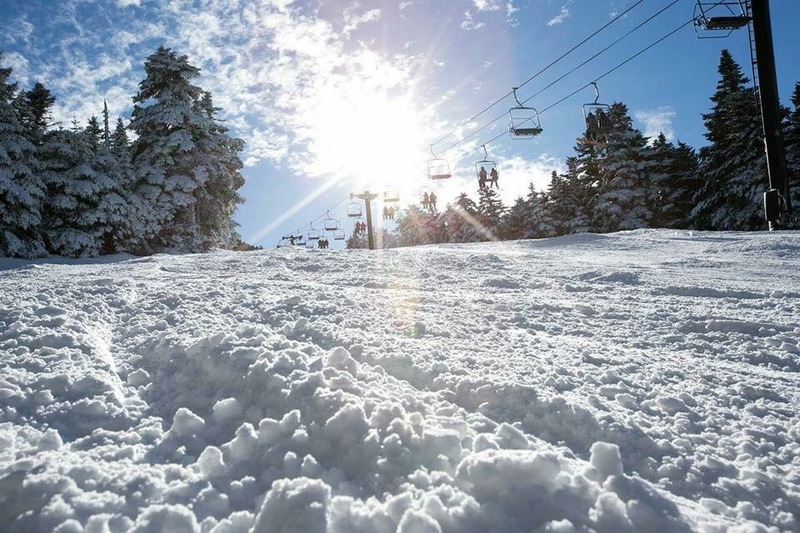 The early onset of freezing summit temperatures and the Northeast’s late spring snowpacks can mean that avoiding the trails costs you six months of the year. Instead, with a little planning, knowledge, and preparation, you can get comfortable conquering mountains year-round. Here are a few pointers to get you started. While much of the gear you have broken in on summer treks can be useful for winter hiking, you need to add some key weapons to your quiver to fully make the shift. One of the first gear concerns has to be traction, which is required to hike safely on snow and ice. For early season freezes or hard-packed trails, Kathoola’s Microspikes are perfect. Made with elastic rubber uppers that can easily stretch on and off nearly any shoe or boot and sturdy chains and spikes that dig into the crud to keep you from slipping, these are a must. Microspikes will work for 90 percent of frozen trails, especially on beginner hikes, but some of the ice-covered routes above treeline and flows you will eventually encounter require a little more. Crampons provide a more substantial bite, but require more practice to use safely. Look for pairs like the Camp XLC 490 that are light, adaptable to nearly any boot, and are not designed for vertical ice—a condition rarely encountered in hiking and mountaineering. 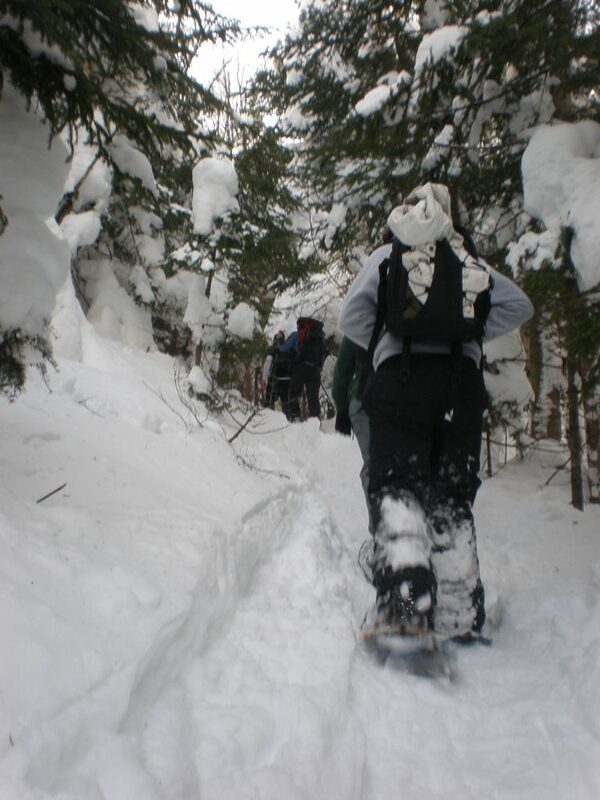 Finally, you will need snowshoes to carry you over fresh powder and keep the trail packed safely for others. 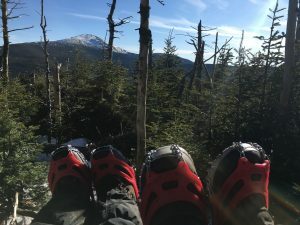 Even when the parking lot has no snow, carrying snowshoes is key for those high-elevation drifts, and in places like the Adirondacks’ High Peaks, they’re required by law. 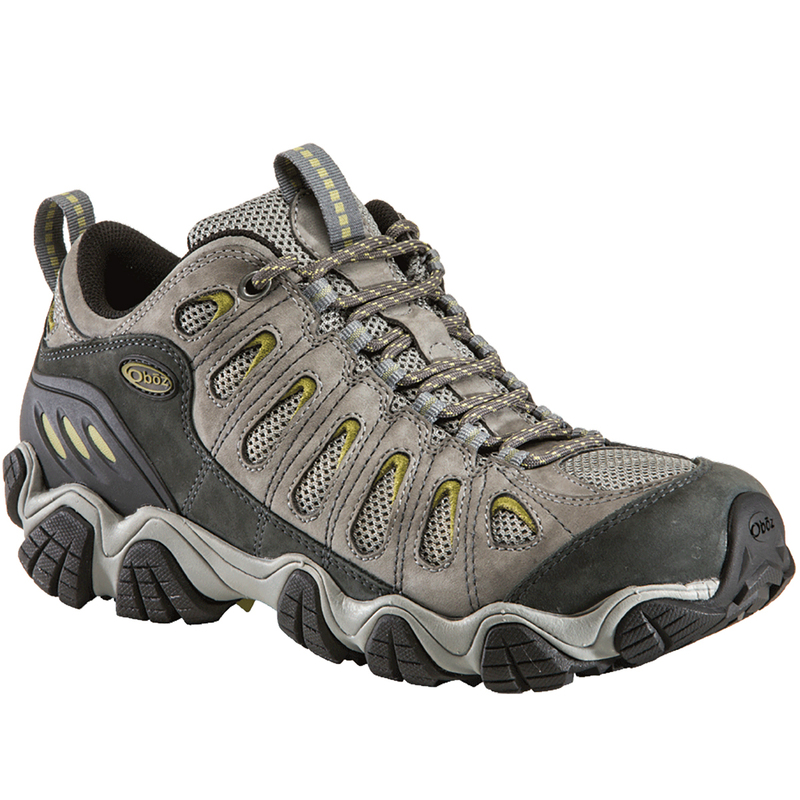 For years, MSR was the go-to brand for hiking, but now, others like Atlas and Tubbs offer great products, as well. I use the Tubbs Flex line, partly because I love the ease and fit of the boa enclosure binding system. Hydration is a second important consideration. While I love the convenience of a bladder in the summer, I avoid them in the winter months. Insulation for their tubes, blowing water out of the mouthpiece after each sip, and other tricks can keep bladders flowing in extreme cold, but for me, it’s not worth the risk or effort. The last thing you want in the middle of a below-zero, big-mileage day is your water freezing up. Instead, get a few wide-mouth Nalgene bottles, as narrow-top designs freeze quicker. Keep the screw tops from freezing by storing them upside down, so the air/water interface freezes first, insulate them with a bottle cover or even a thick wool sock, and store them in your pack. Finally, you need to keep your hands and feet warm when facing extreme cold. Wicking layers, insulation, and exertion will protect your core most days, but feet and hands can freeze up quickly when the mercury drops and your hiking party stops. So, look for waterproof and insulated boots like the Merrell Polarand 8. Additionally, bring several pairs of gloves and socks, as even the best will eventually “wet out” on long hikes, leaving hands and feet susceptible to frostbite. Remember, it’s almost as important to stay warm as it is to keep cool. It sounds crazy, but working up a sweat and soaking your layers can become, at best, uncomfortable or, at worst, can contribute to hypothermia. So, start the hike a little cold and be sure to remove layers as you heat up to regulate your temperature. Protect your skin. Bright winter sun reflecting off snow cover can sunburn you as fast as the sunshine on the beach. Cold wind can also leave it windburned. To prepare, bring the sunscreen and facemask along as needed. Choose your food wisely. Bring food that is easy to eat on the move and won’t become inedible if frozen. Long summit picnics are less common in winter conditions, and breaking teeth on frozen treats is not fun. To begin your adventure, start off small, get your gear dialed in, avoid winter hiking solo at first, and always carry a map and compass. But, in these conditions, things like route-finding skills and weather become even more important, and hiking with crampons or snowshoeing through deep powder can take some getting used to, as it utilizes different muscle groups. 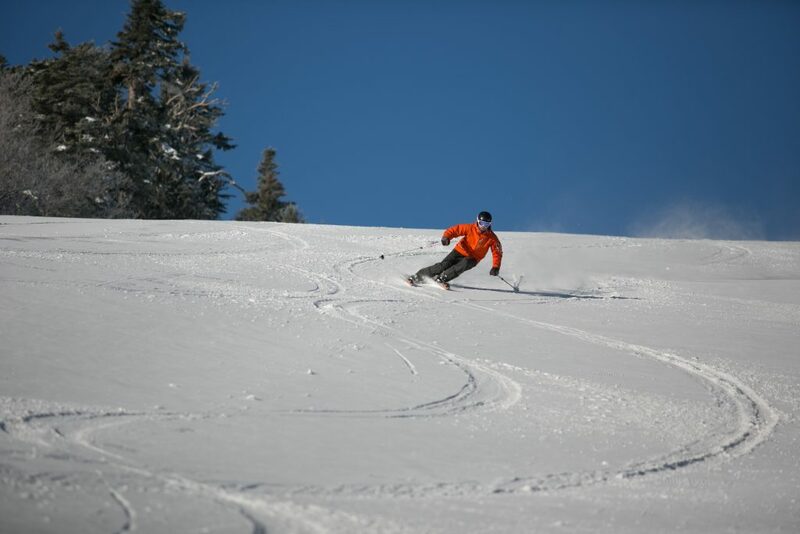 When you are ready to give it a go, here are a few easy hikes to tackle on a bluebird day that are sure to get you hooked and ready to tackle some bigger peaks. A short round-trip loop hike of just 2.3 miles from the Adirondack Loj will provide you with upfront views of Heart Lake and many of the High Peaks, like Algonquin. From behind a covered bridge in Woodstock, VT, this easy trail of switchbacks climbs just under 1.5 miles one-way to the south summit for nice views of the town and surrounding mountains. This two-mile round-trip hike through gorgeous oak forest rewards you with great views of Southern New Hampshire from its summit’s open ledges.